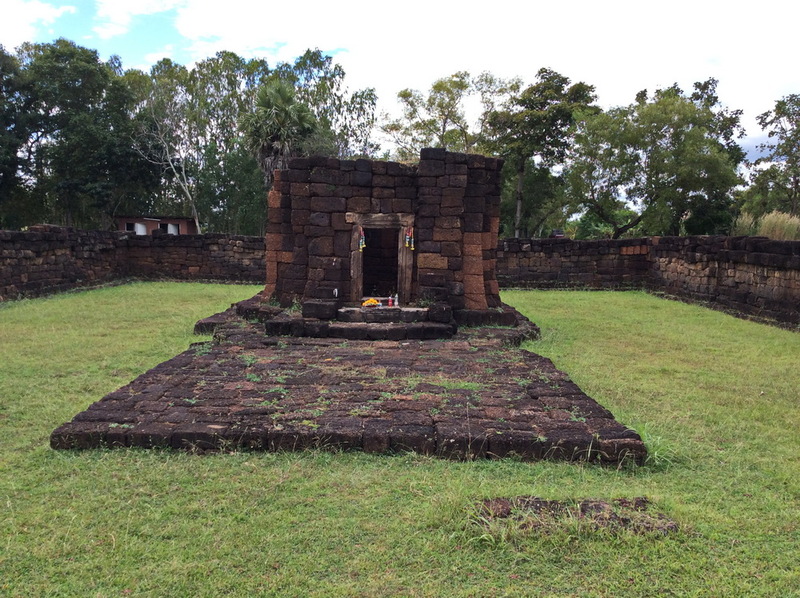 Surin, is a province in North Eastern Thailand and one of the four Isaan provinces. 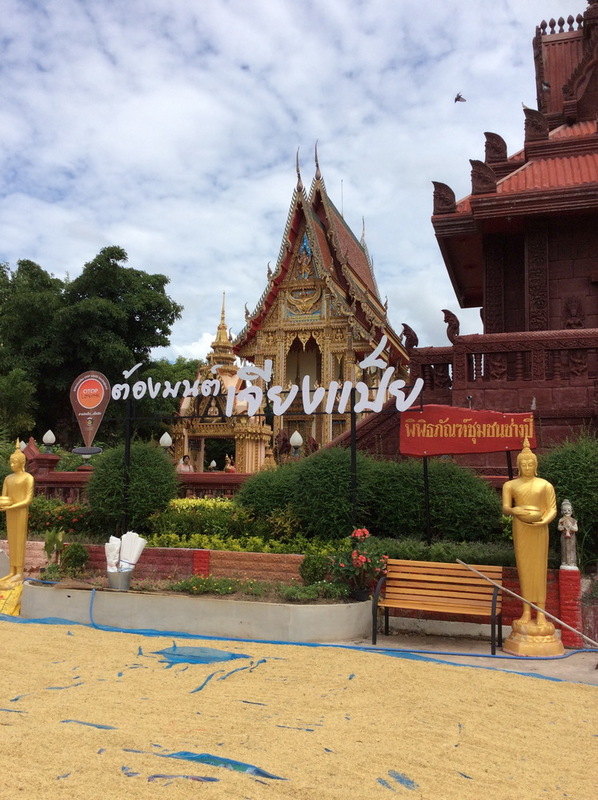 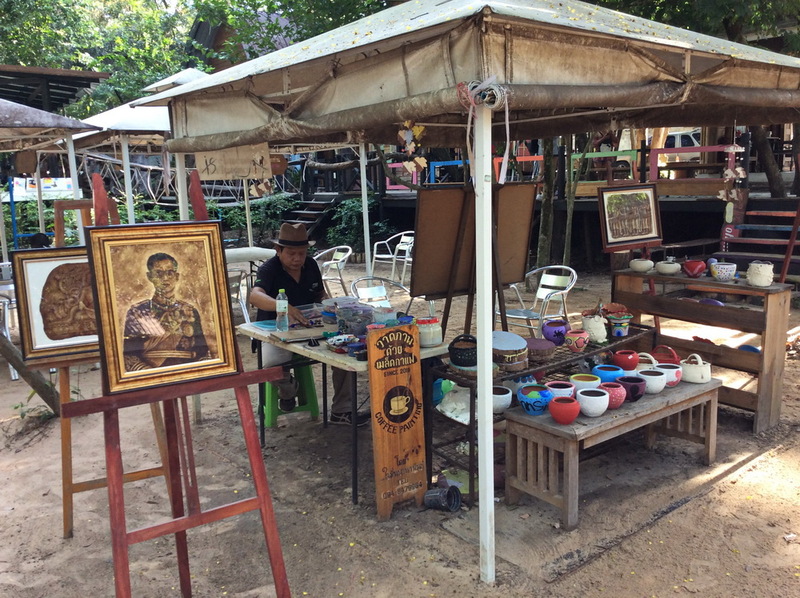 Approximately a 6 hour drive from Bangkok city and the nearest airport being in the neighboring province of Buriram, it may seem difficult getting there. 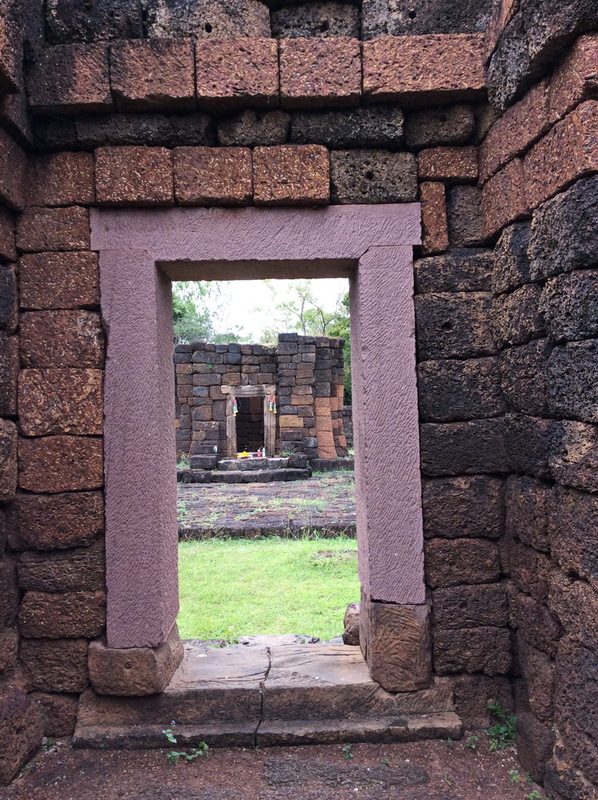 However, when you do get there, it is one of the most rewarding places to go and discover. 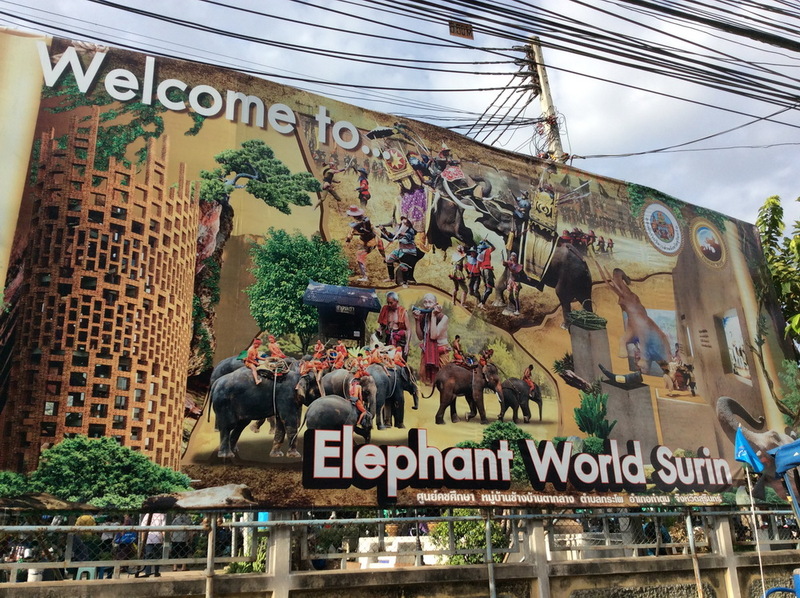 When you get into Surin town, the icons of Surin city are the clock tower and the roundabout with a statue of the patron of the city surrounded by elephant statues near the old railway station. 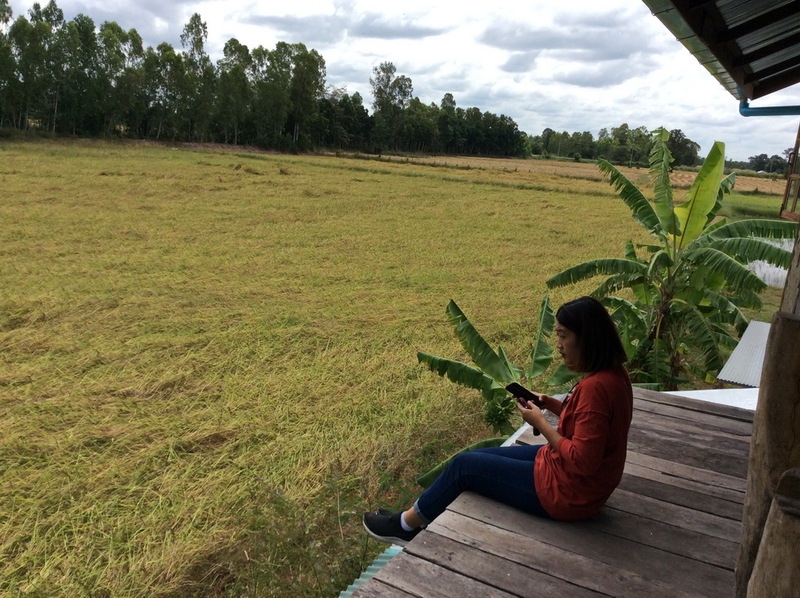 Surin is very much a “farmer’s land” where it is hot much of the year but gets a lot cooler in the months of November till January. 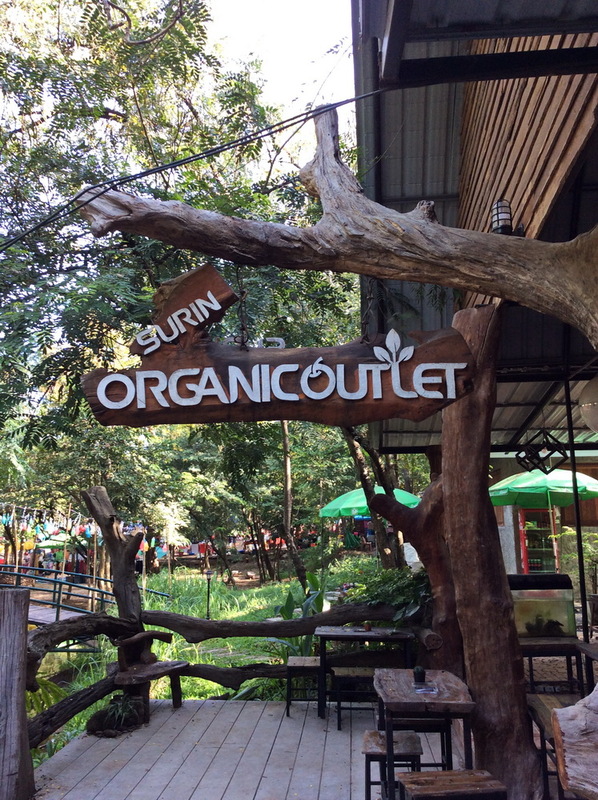 While one might think Surin is a small town, it is because many of the attractions are wide spread interspersed with vast acreage of rice fields. 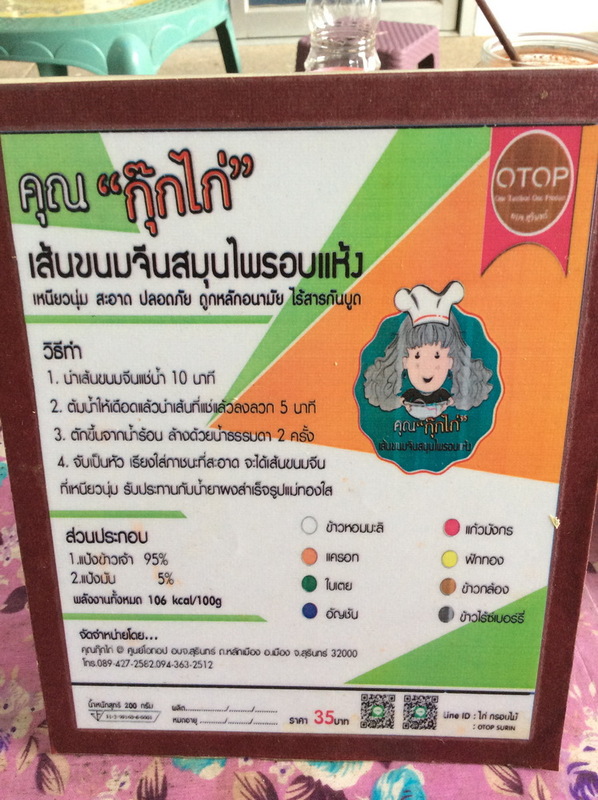 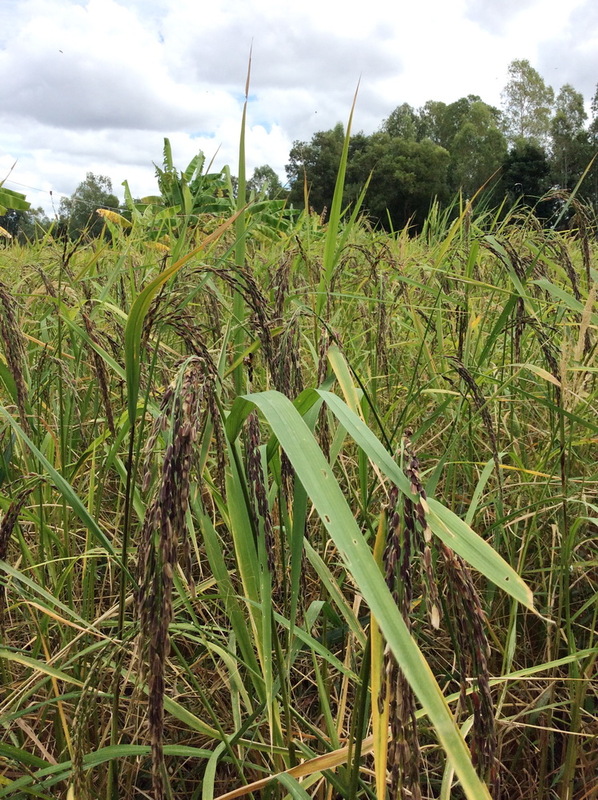 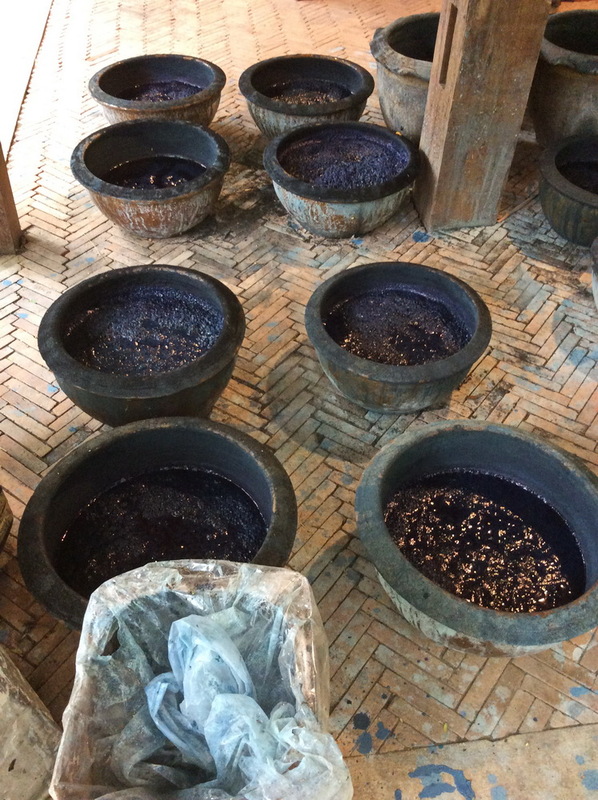 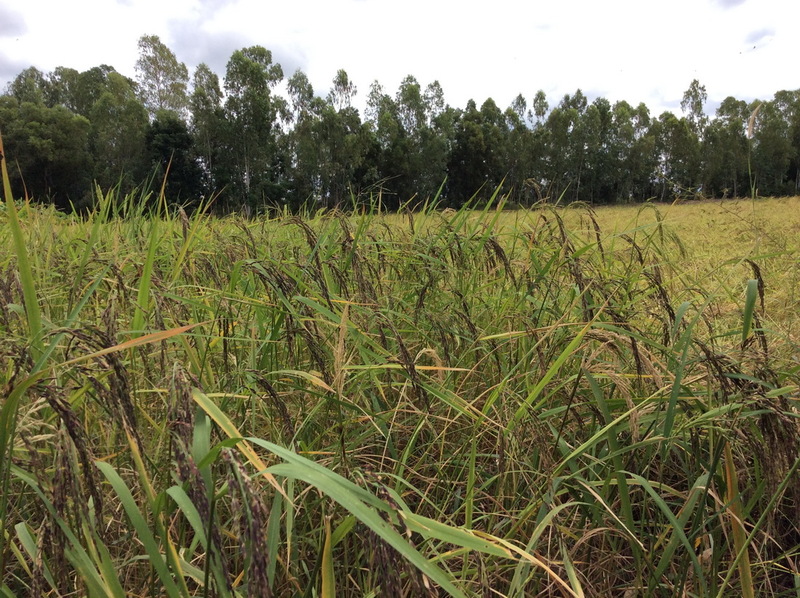 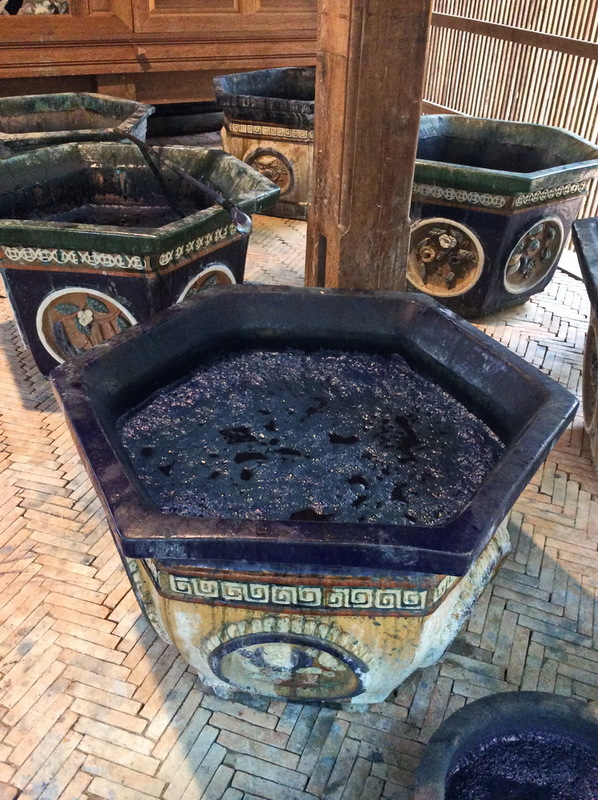 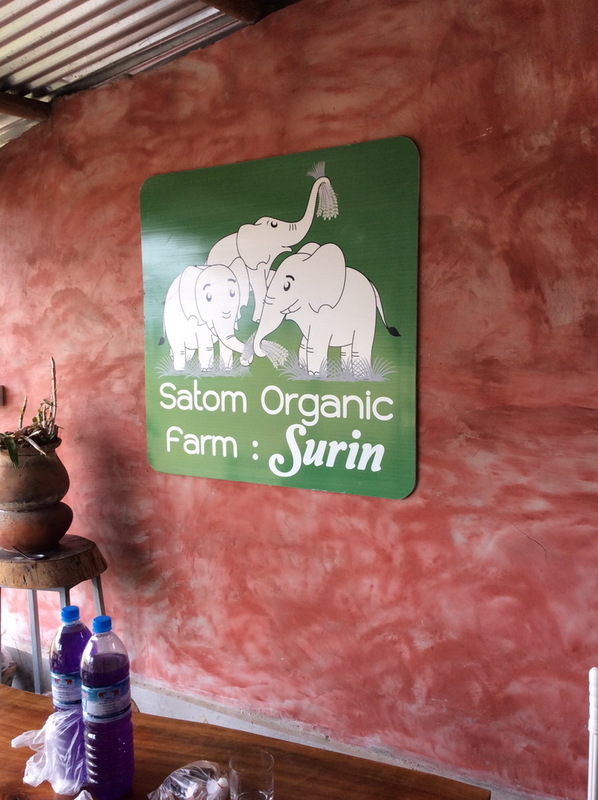 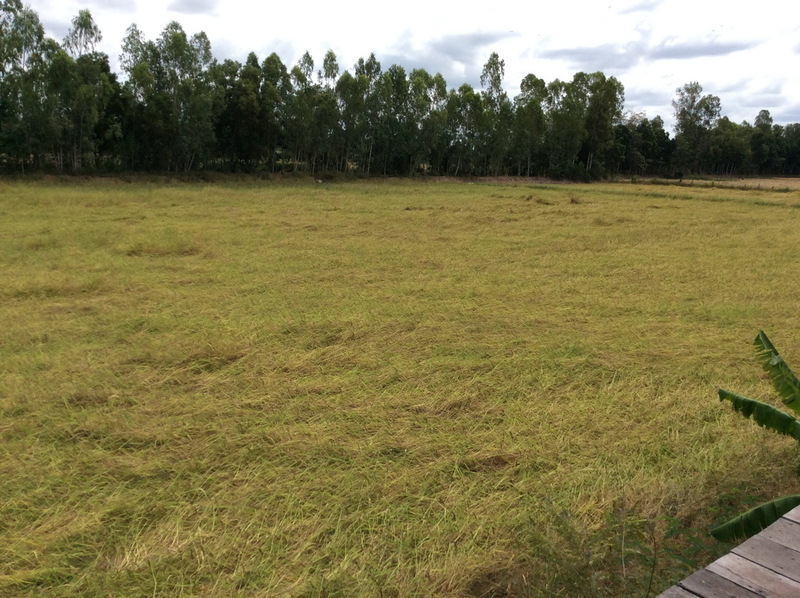 Surin is also “Rice Land” where much of the fragrant and aromatic jasmine white and black rice comes from. 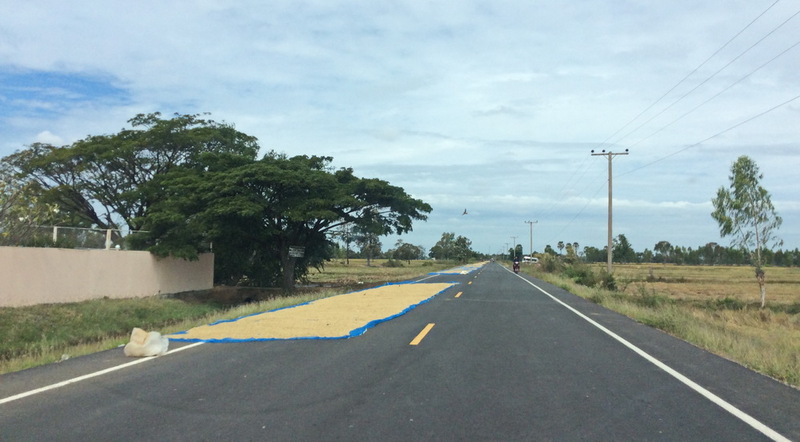 In the cooler months, one of the interesting sights is to see rows of blue tarp covered with freshly harvested and unhusked rice occupying half the side of main roads and raked out to dry. 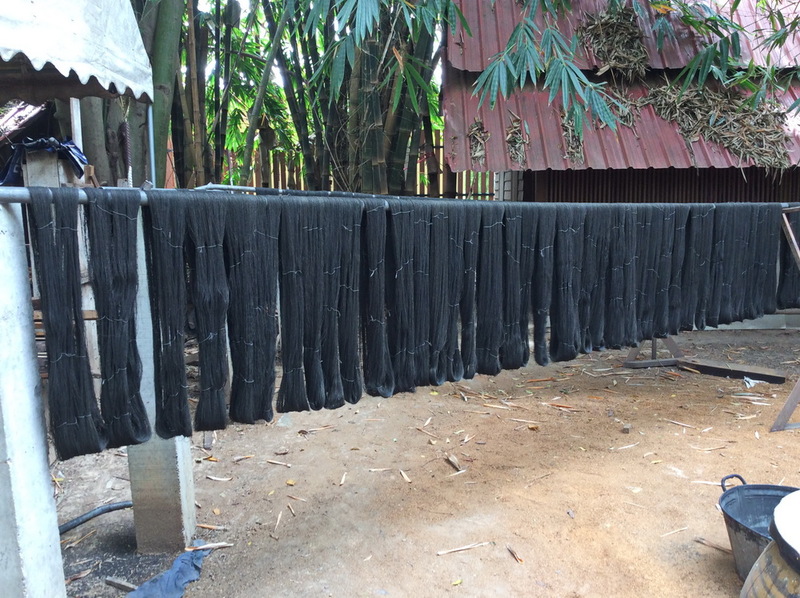 This is still very much the old-fashioned way of drying newly harvested rice. 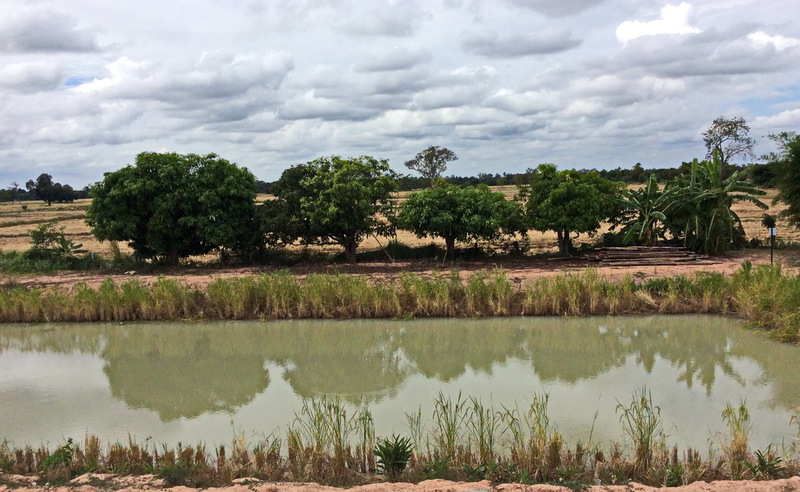 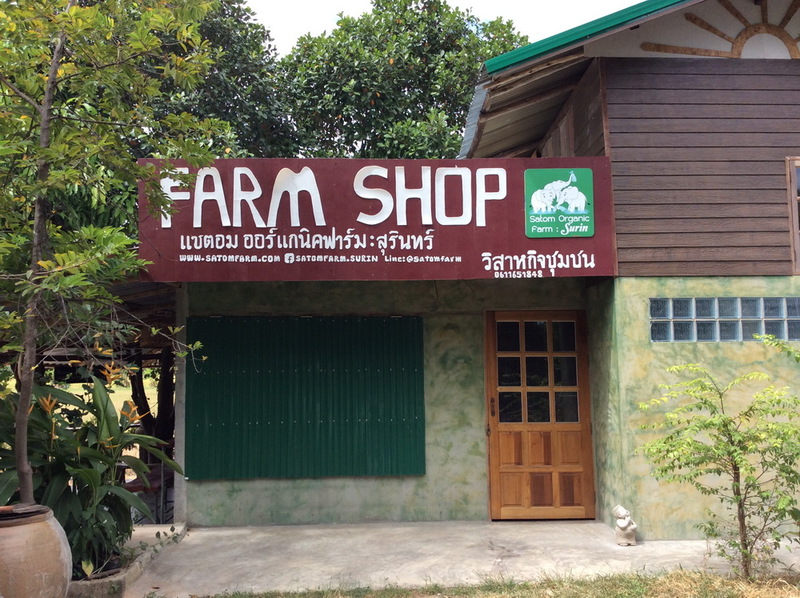 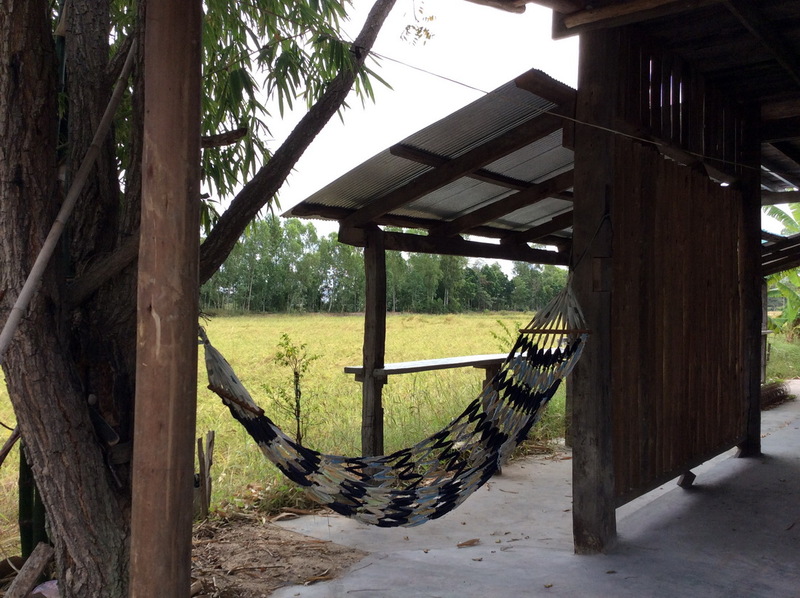 There are new organic agriculture and home stay places coming up which offers beautiful views of the green rice fields and the serenity of the countryside for those looking to spend time in quiet retreats among the locals. 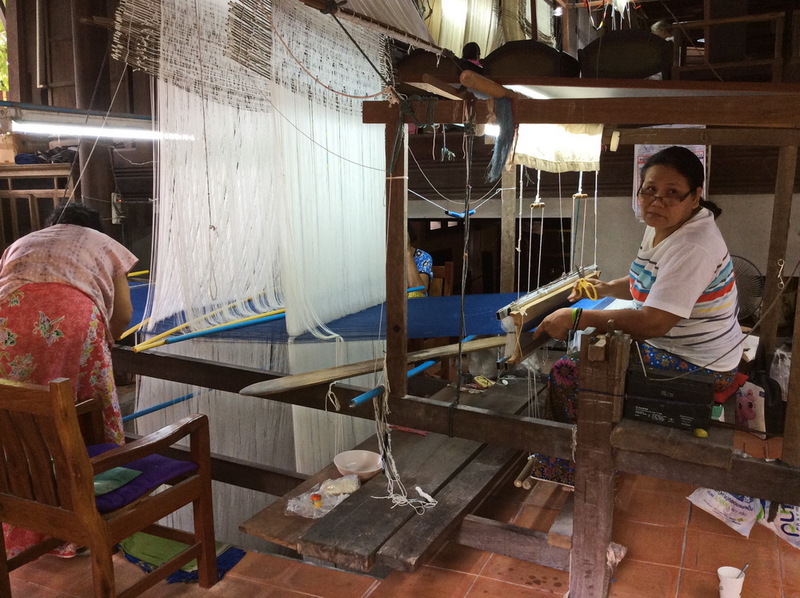 These home stays are self-sufficient and here you also get a glimpse of the late King Bhumipol’s Self-sufficiency projects. 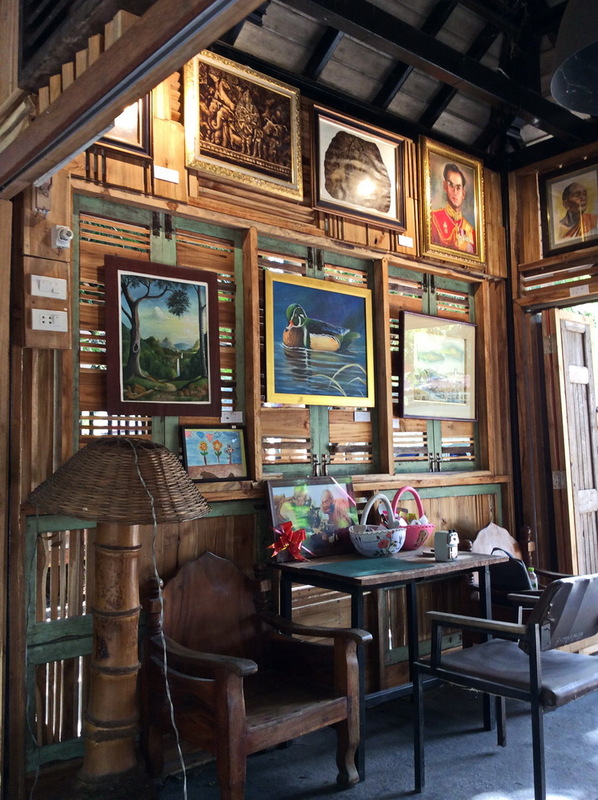 Enjoy a nice cup of coffee or tea on the verandas listening to the sound of nature and watching the breeze waft through the rice stalks is one of the most therapeutic sensations when one gets back to being with nature. 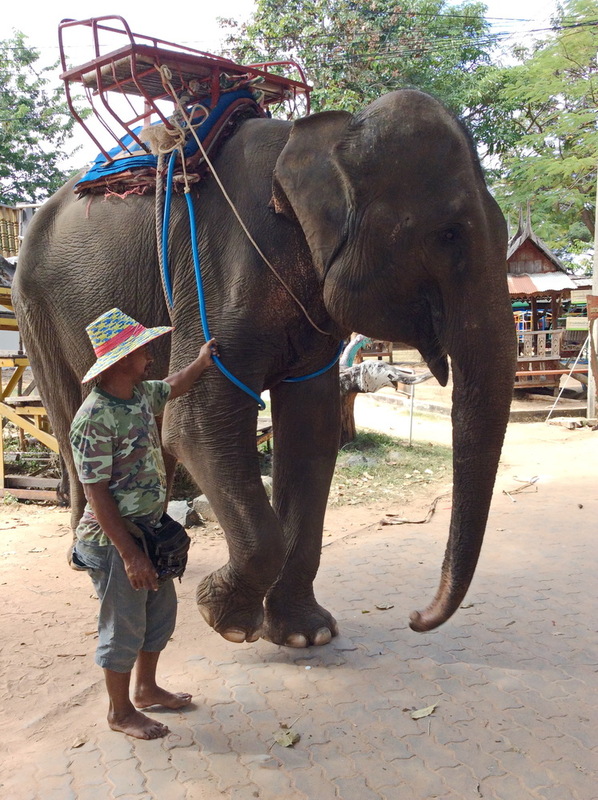 Surin, the land of Elephants is also the site of the annual Light and Sound show as well as the famed elephant round-up event which takes place in the third week of November. 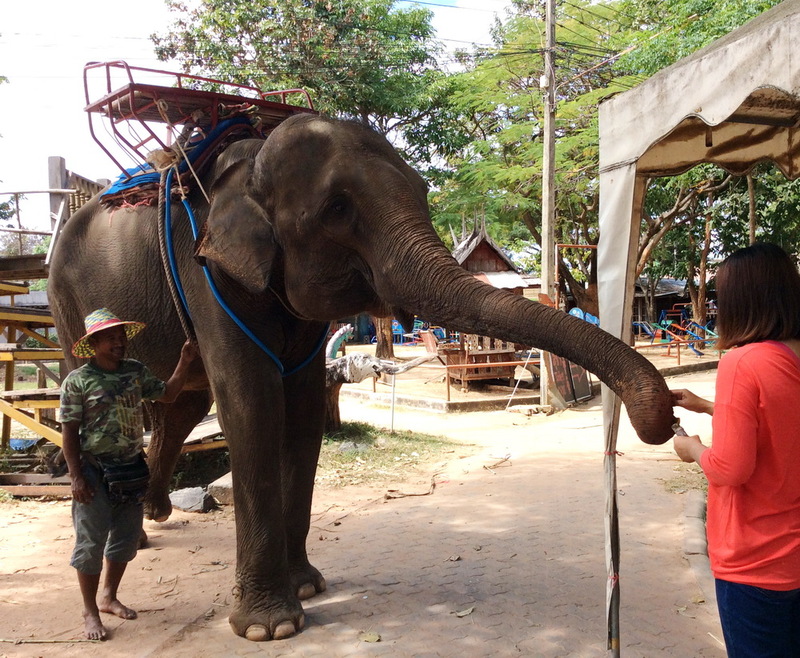 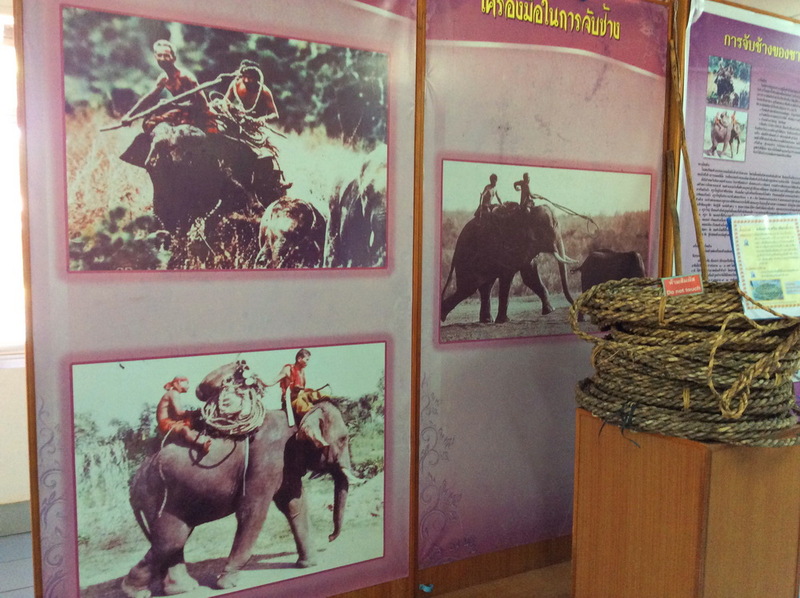 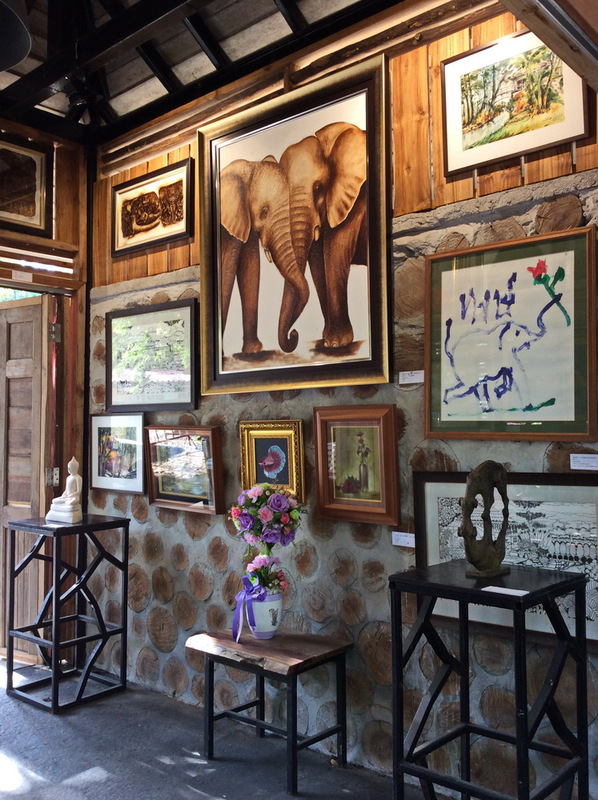 Elephants are significant to Surin as it is the historical place where the elephants which were meant for conscription into the cavalry in days of old were trained by army mahouts and sent to Ayutthaya. 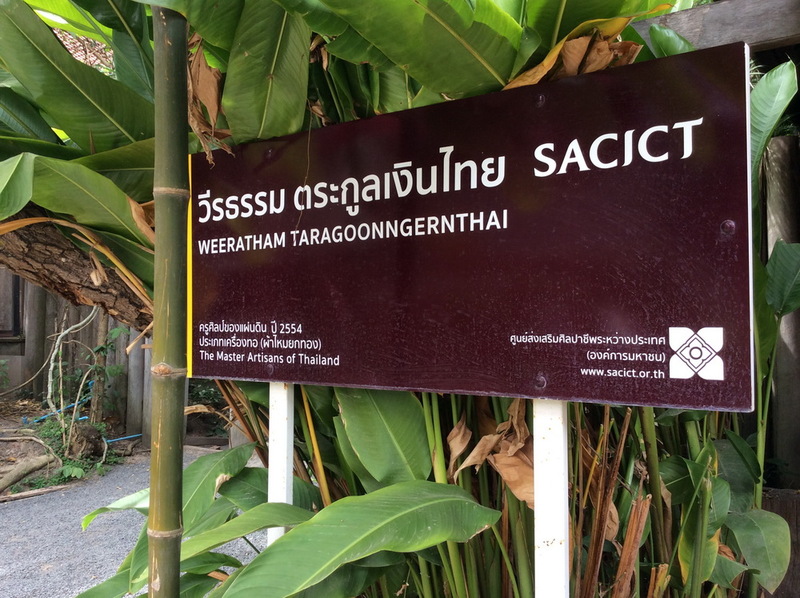 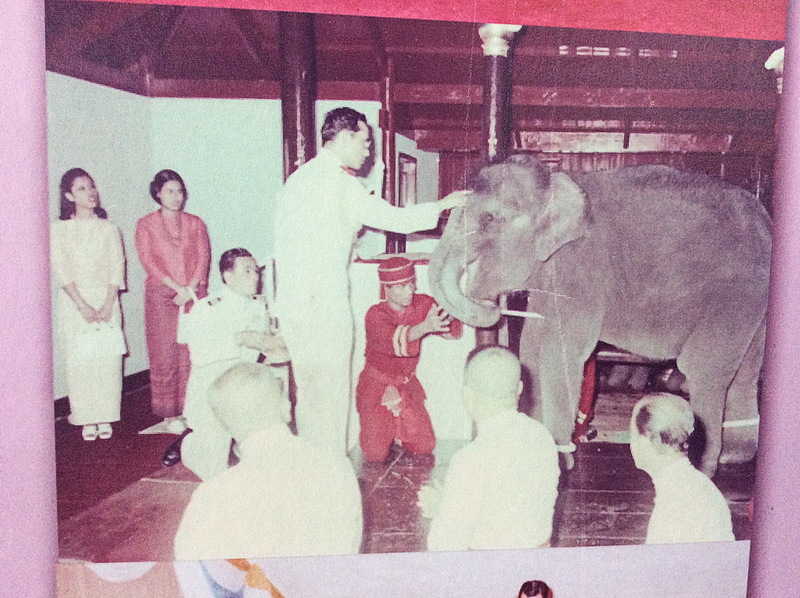 However, nowadays in Ban Ta Klang which is the Royal Thai Elephant Training School and Sanctuary which covers close to several thousand rai of land is where the elephants are trained for Royal Ceremonies. 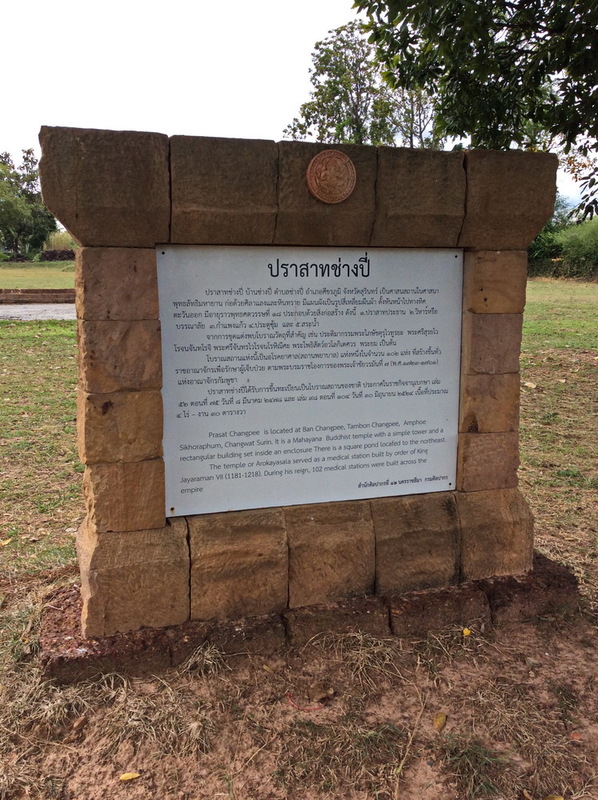 There is also an elephant graveyard inside for the old and dying elephants plus a museum which shows the history of these elephants over time in the Siamese Empire. 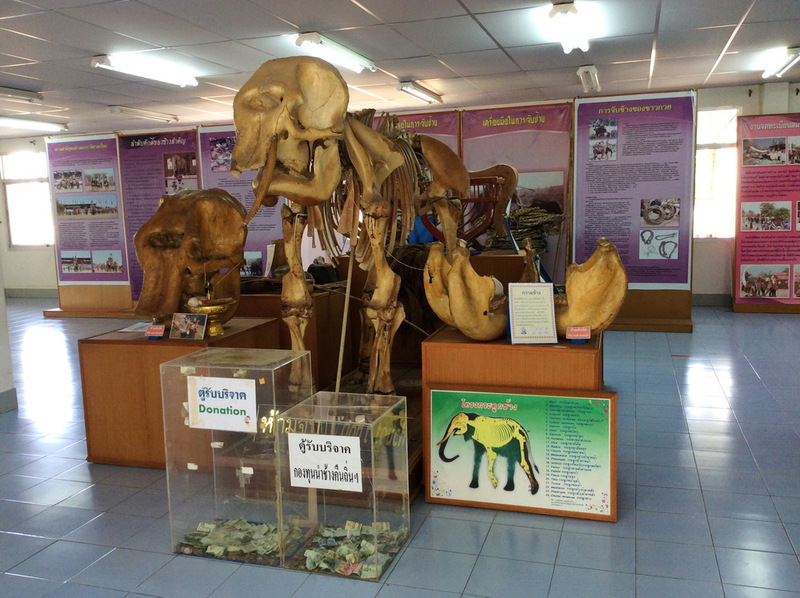 The skeletal remains of an elephant with many sizes of jaw bones indicates that when the elephant changes its last set of lower mandibles, that means that it is near the end of its life cycle. 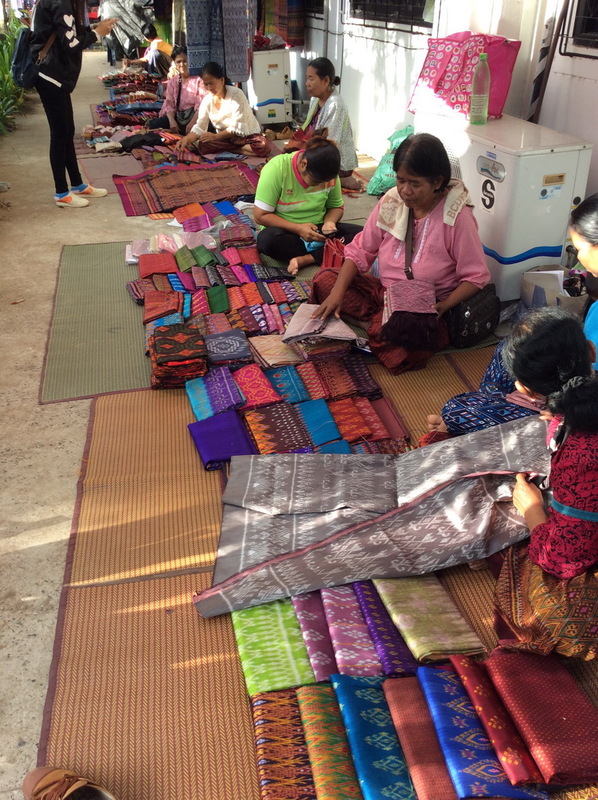 Silk is one of the most prized handicrafts of Surin and silk weaving is very much a livelihood for the womenfolk during the more quiet part of the rice season after the rice has been planted and waiting for it to grow. 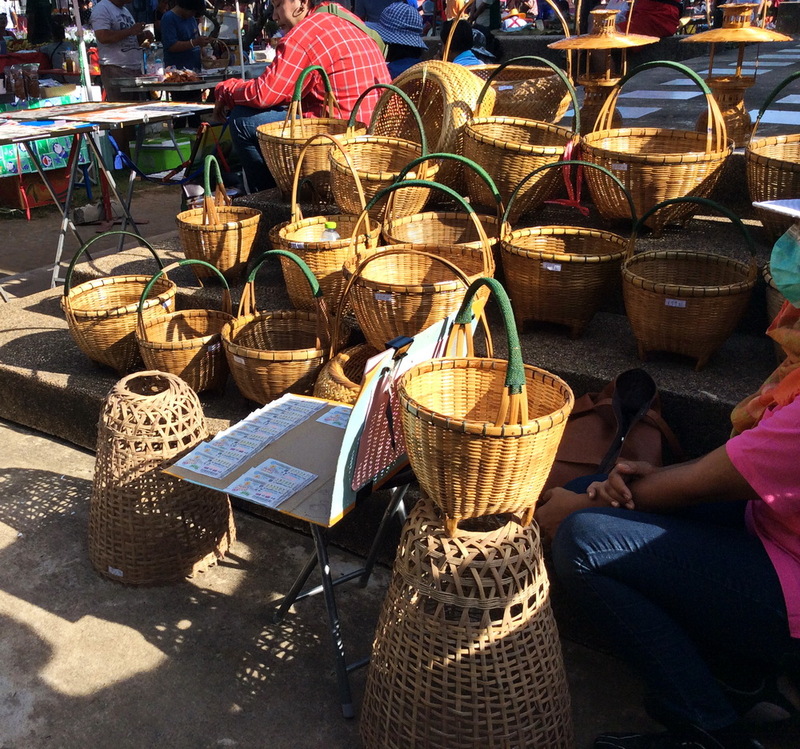 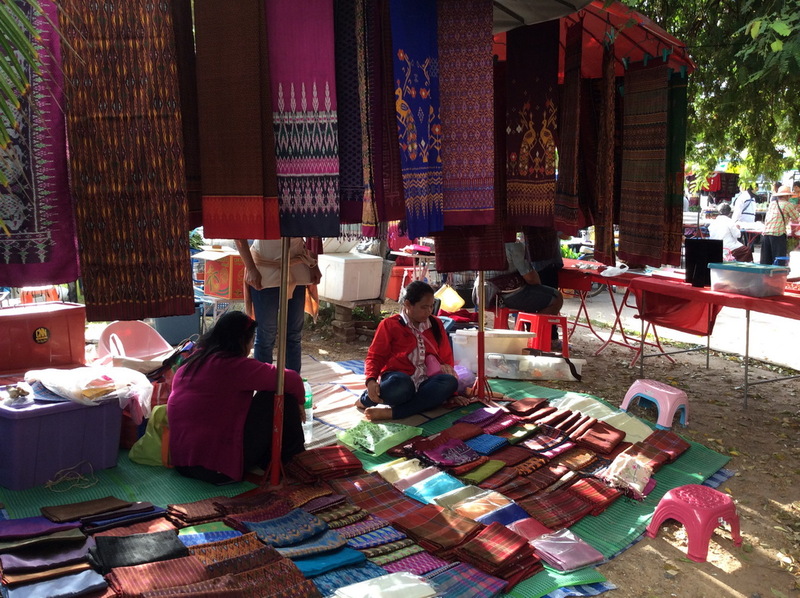 In the spare time, most womenfolk can be found weaving beautiful pieces of silk for sale at the weekend silk market. 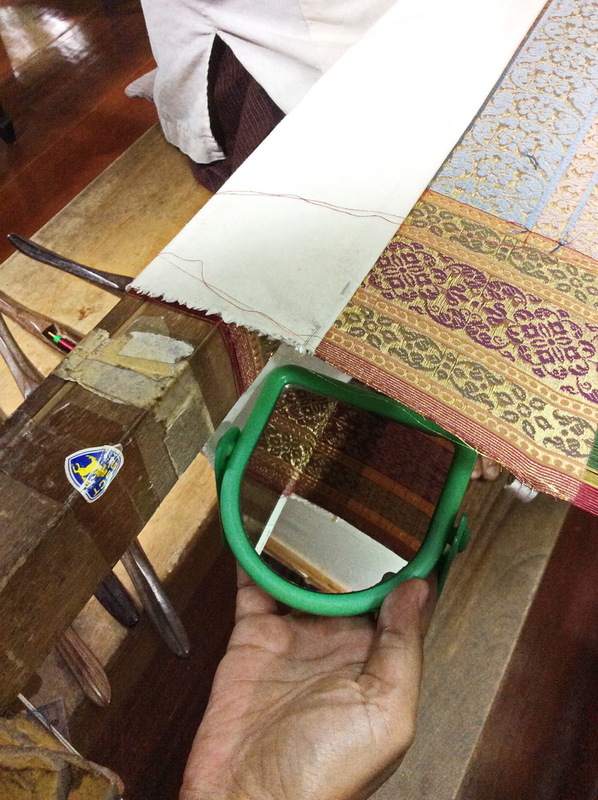 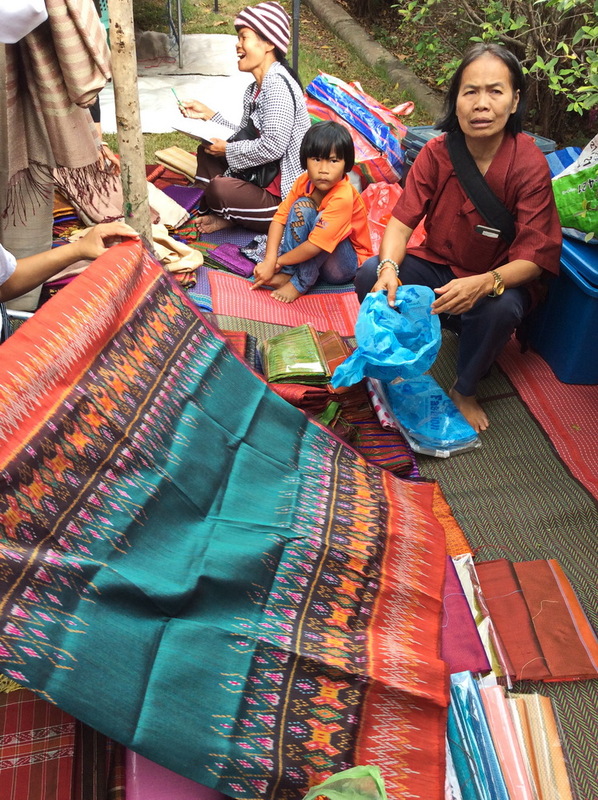 Some silk are more expensive than others depending on the designs, how fine the weave is and if gold threads are used like the Royal Silks which are woven by highly skilled weavers in double-terraced looms which are rarely seen in other provinces. 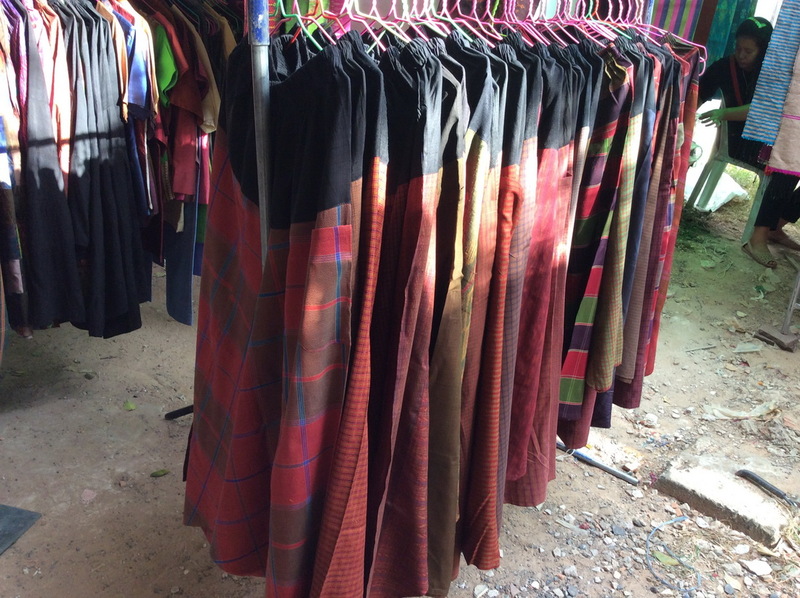 These Royal Silks are made only by special household of weavers. 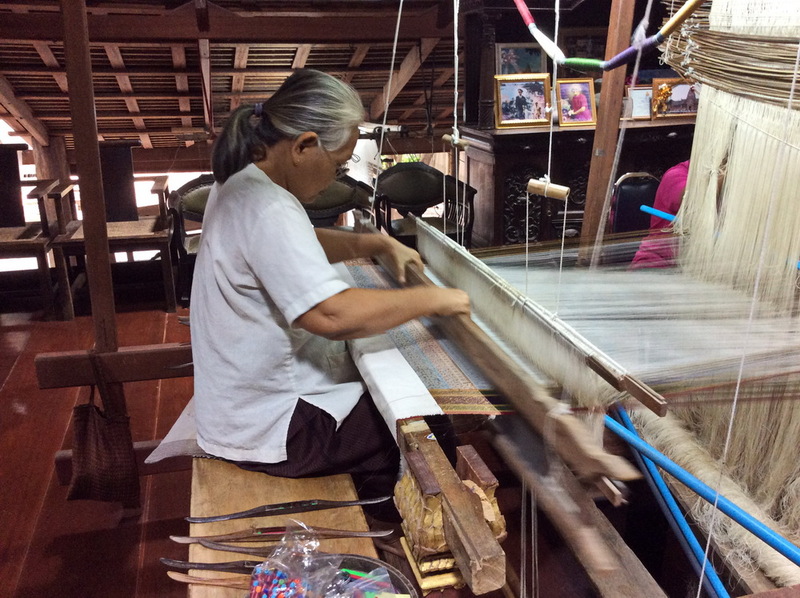 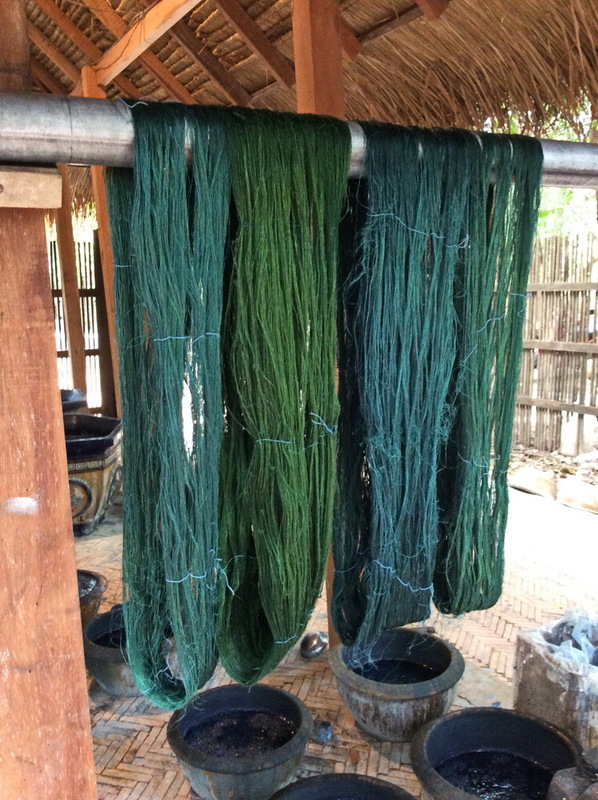 At these special silk weaving places, you can see how silk threads are colored using natural dyes derived from flowers and barks. 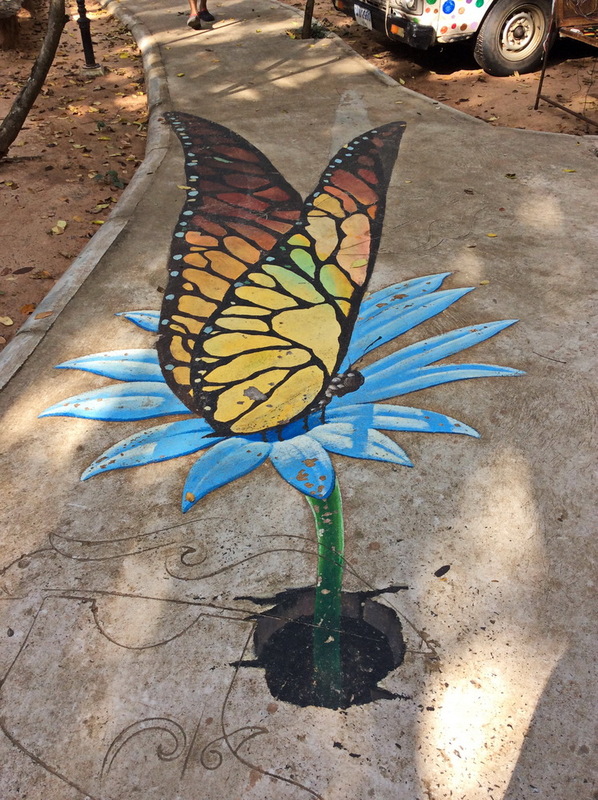 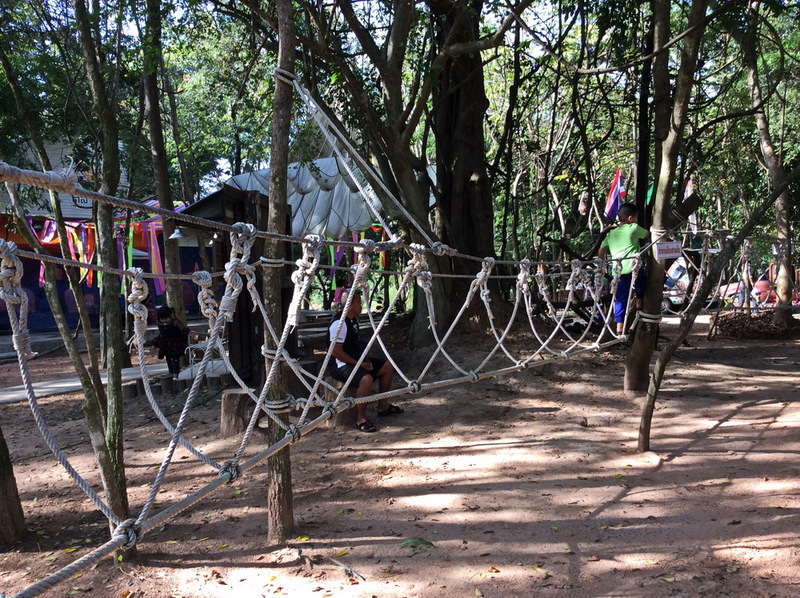 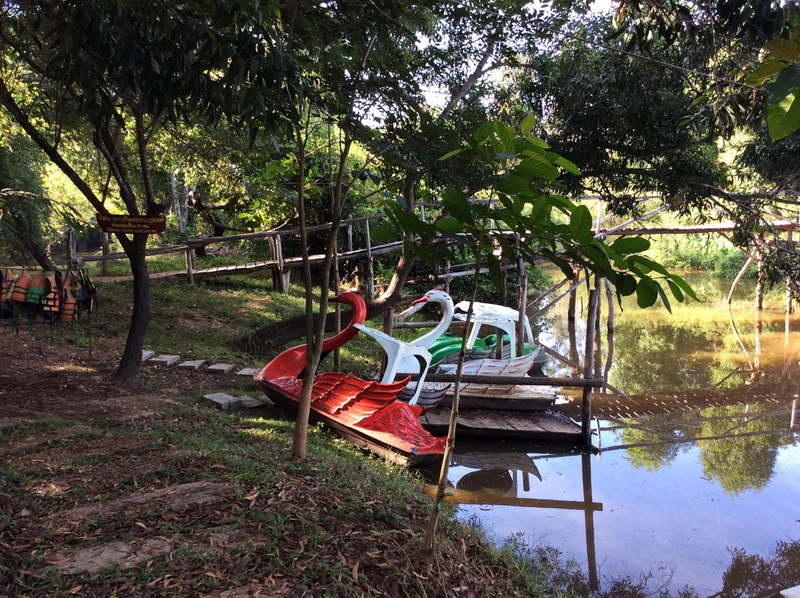 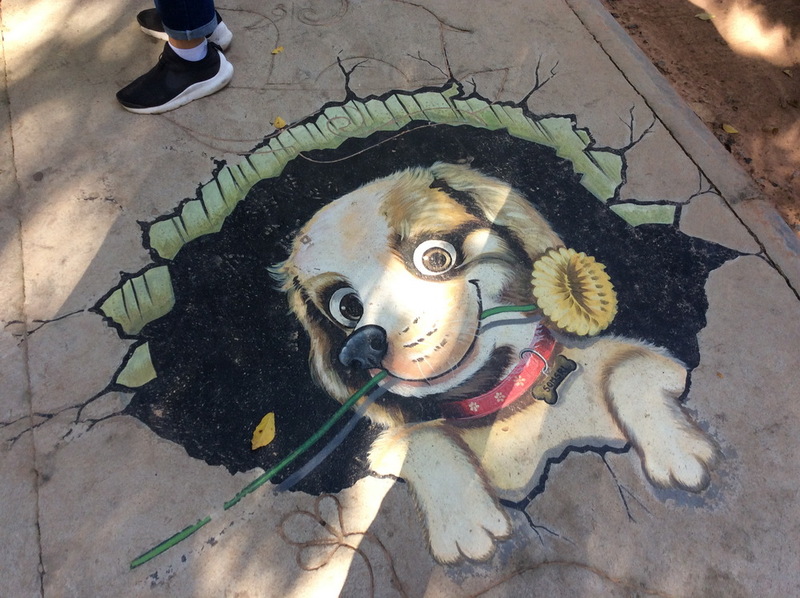 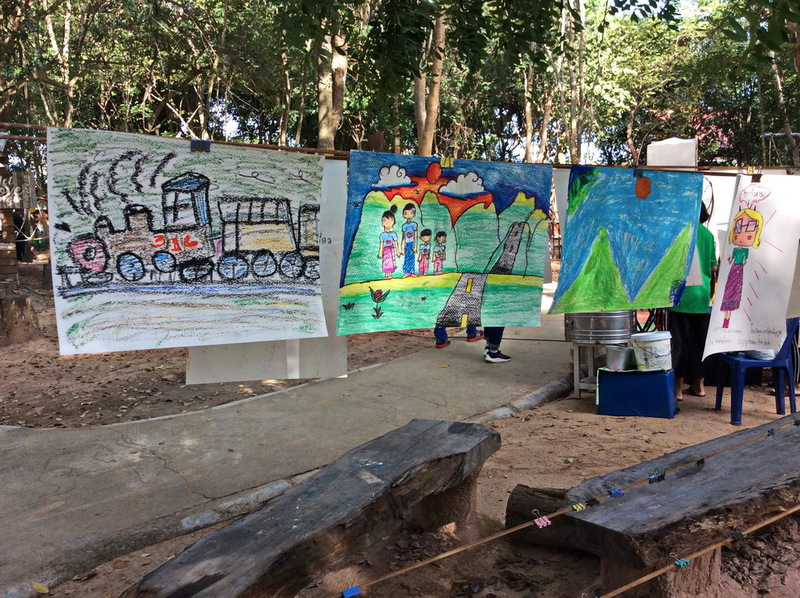 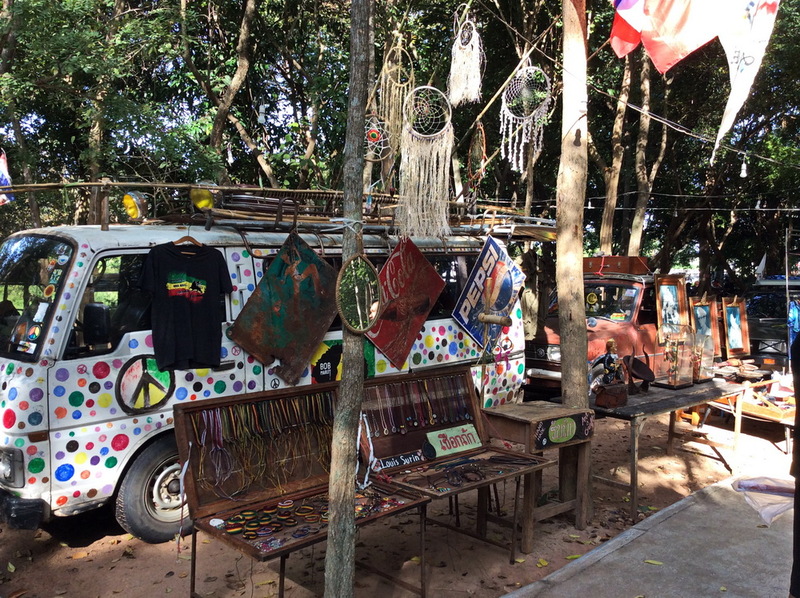 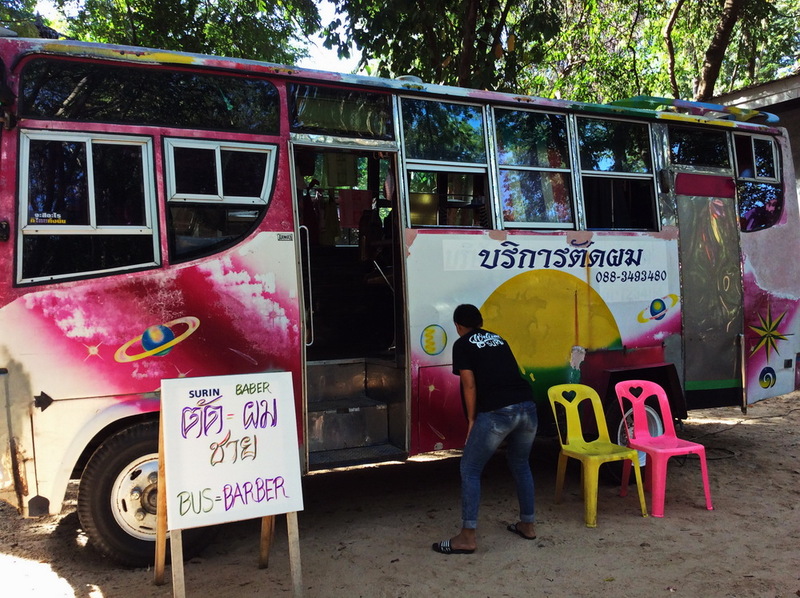 Surin is also full of surprises. 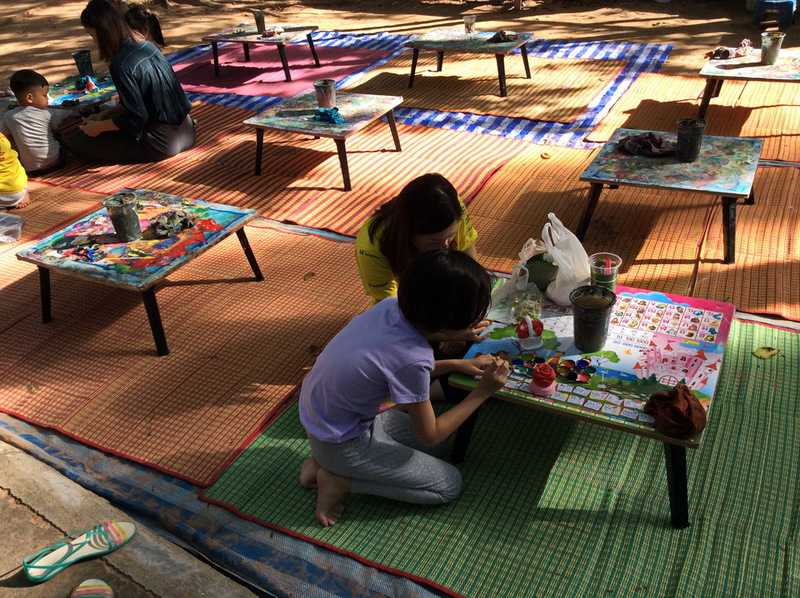 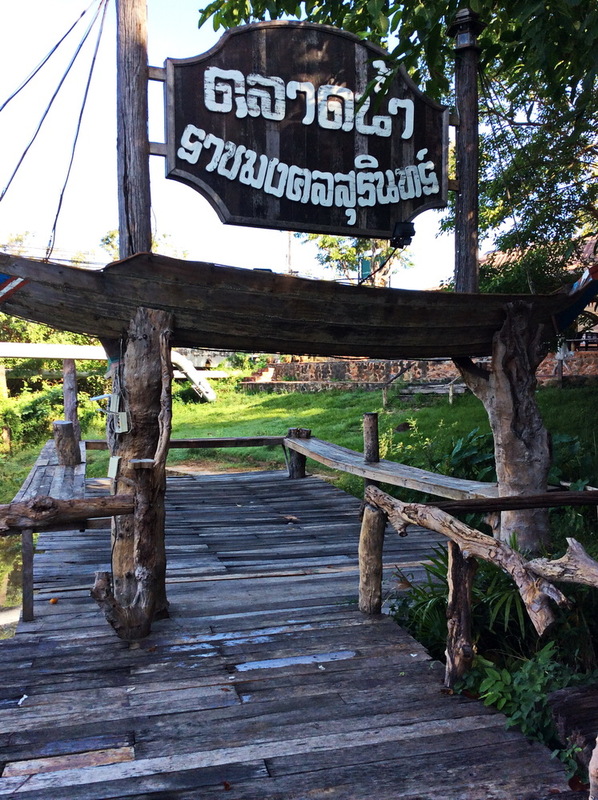 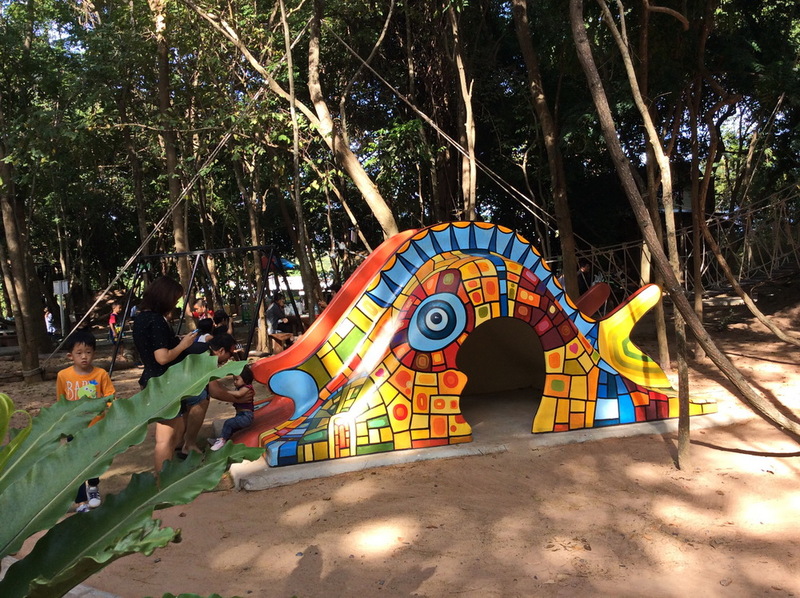 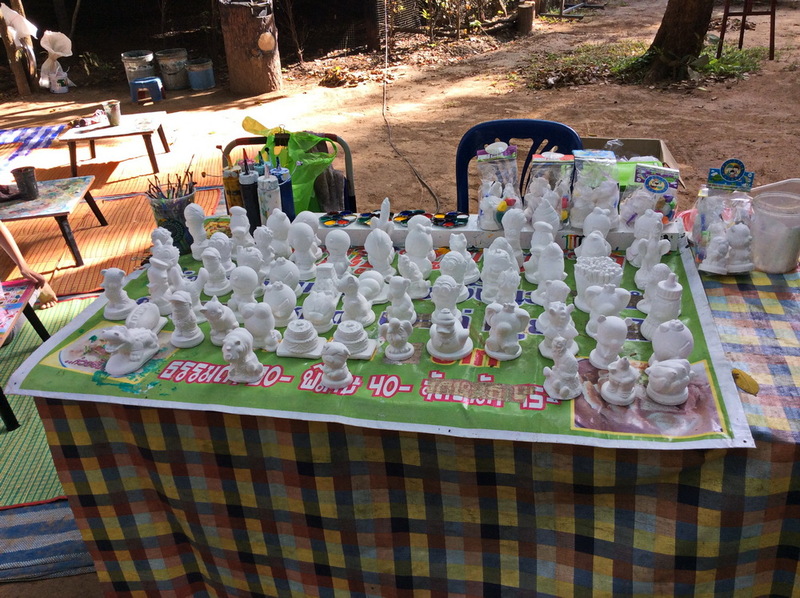 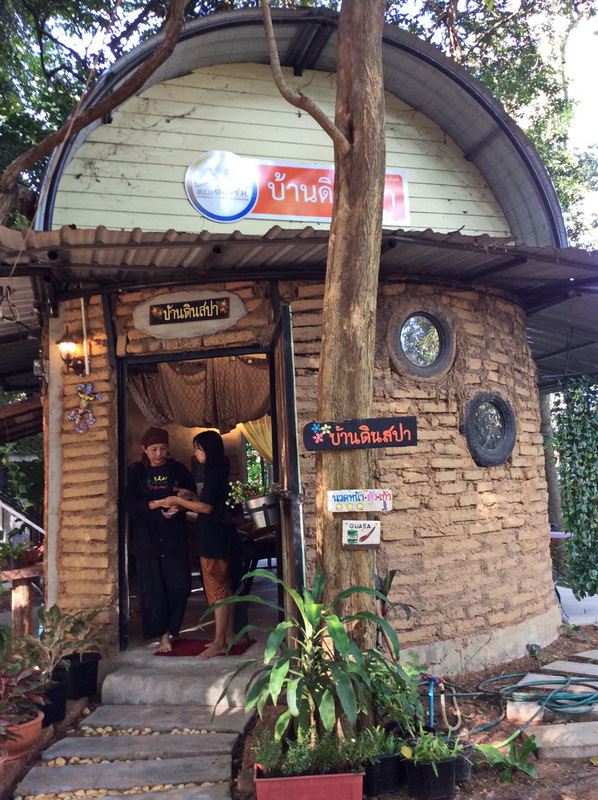 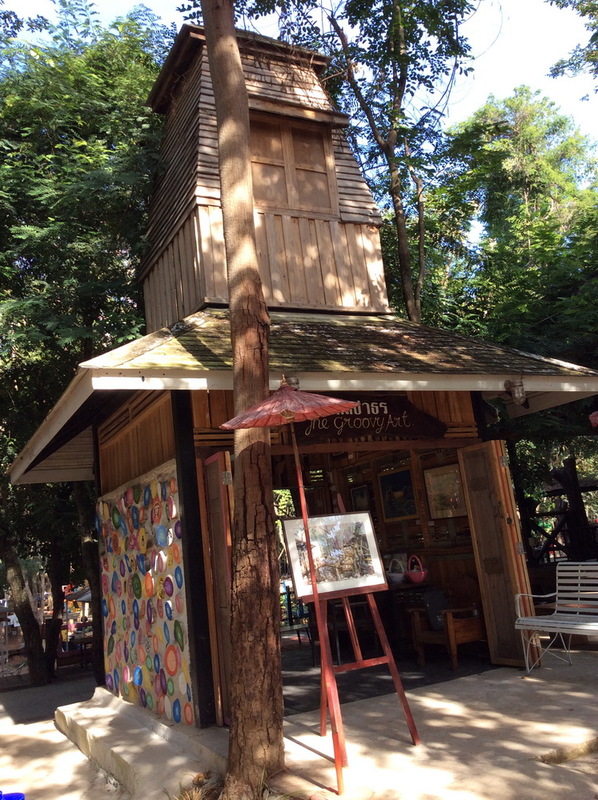 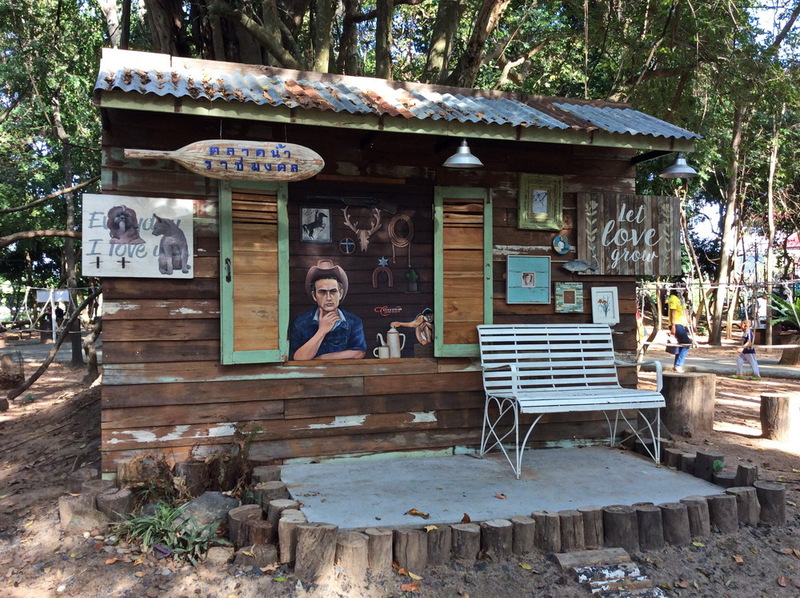 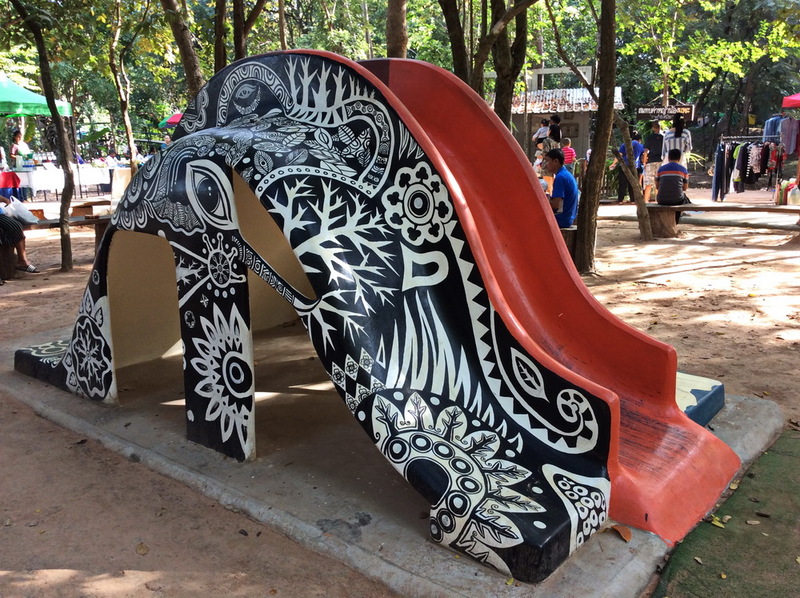 Their weekend floating market is held in one of the most beautiful locations with a nice river, beautiful park with paved walkways that have artistically painted murals, lovely little spa and massage place, well designed natural wooded cabins that serve as little coffee shops and even a beautiful play area for kids! 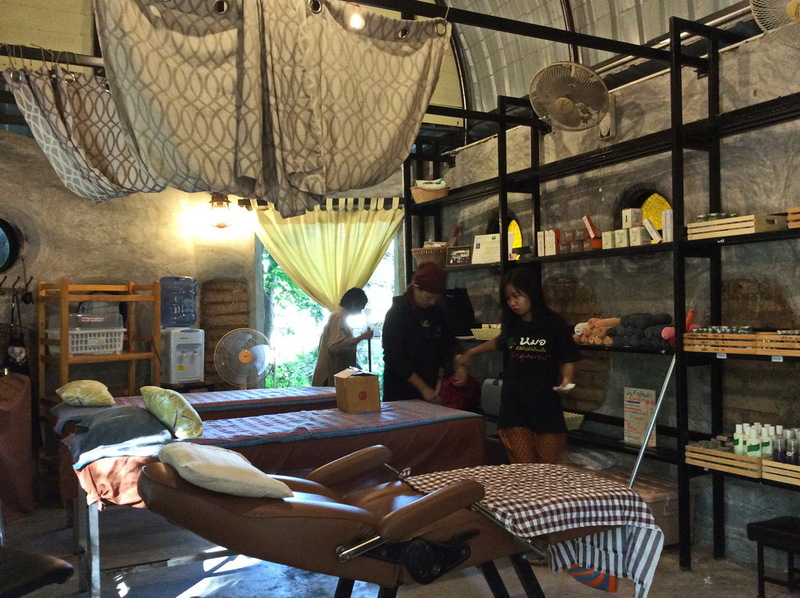 One really must visit this weekend floating market which has a great variety of food, activities, souvenirs and even a cute mobile barber shop! 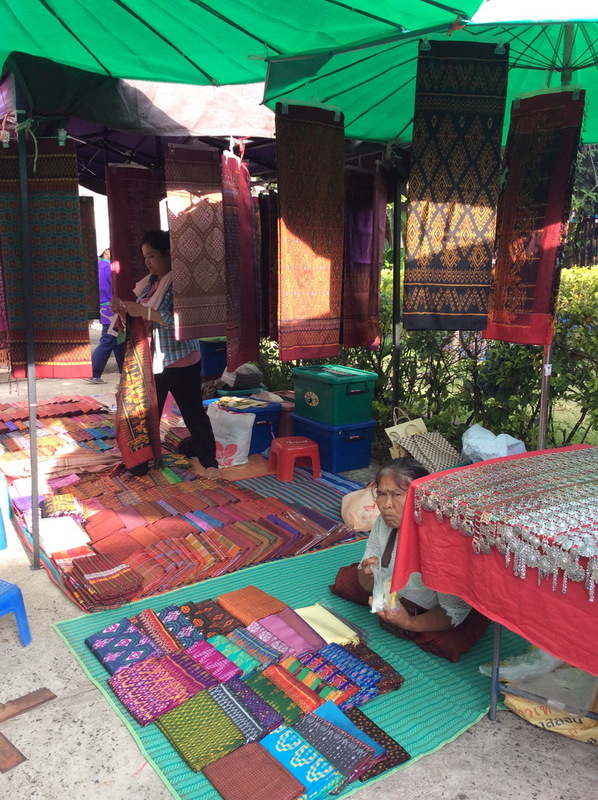 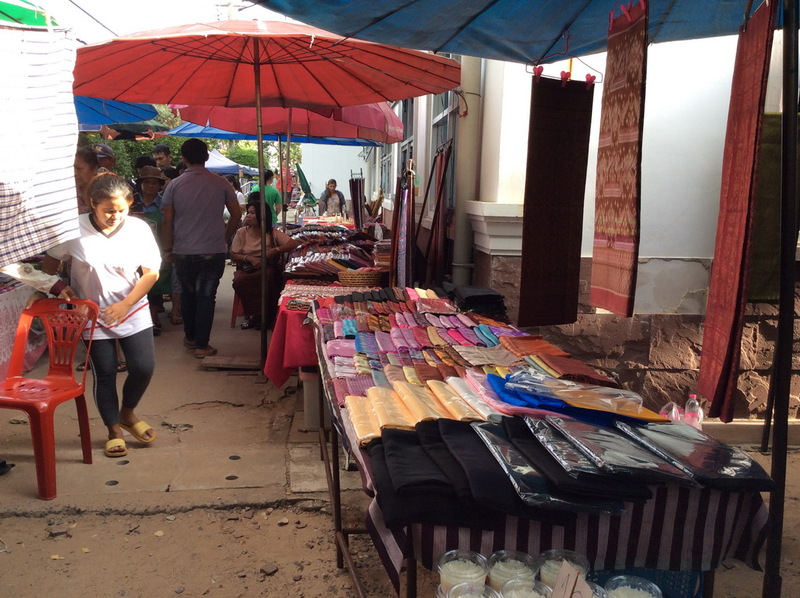 Your discovery of Surin is never complete without a visit to the weekend Silk market where you can find some of the beautiful silks for sale alongside rows of fresh produce and a variety of food. 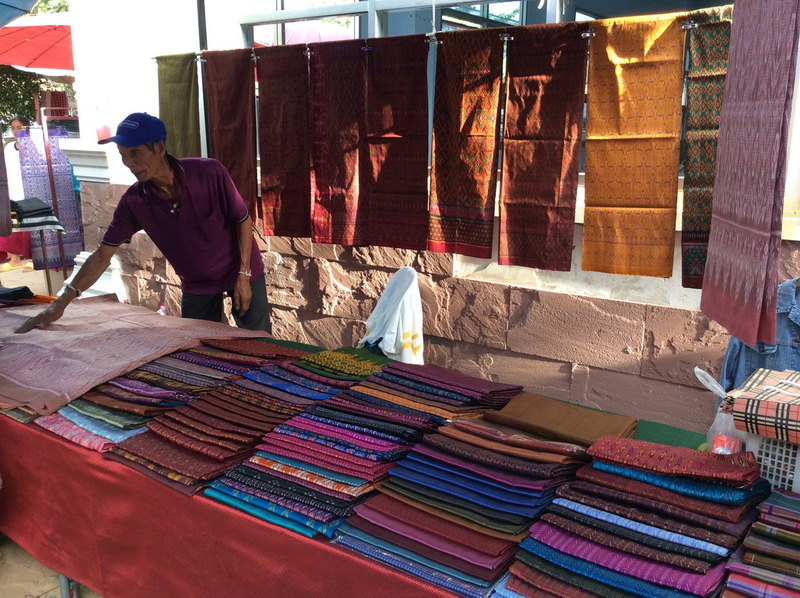 These silks are all individually handwoven and one can find pieces of silk for sarongs, making tailored suits, scarves or as gifts. 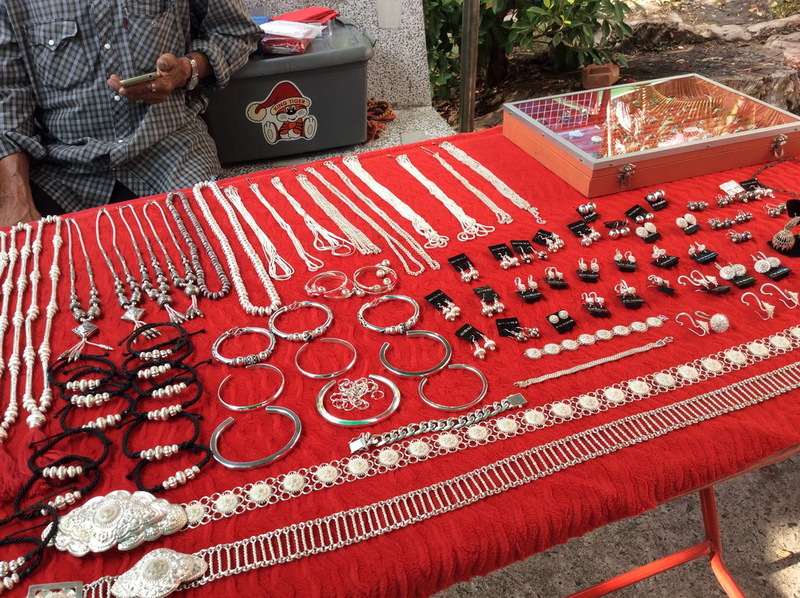 There are also silver beads and bangles which is another item that Surin is famous for that you can buy alongside these silk pieces. 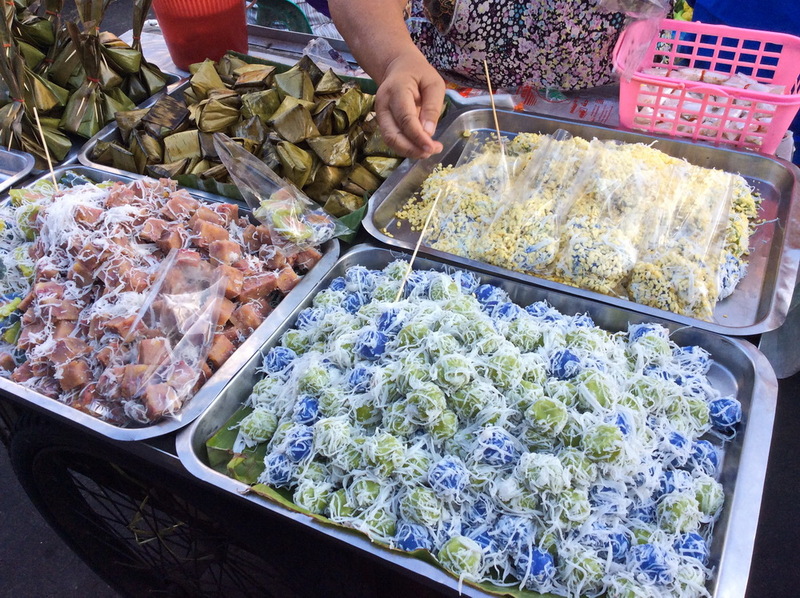 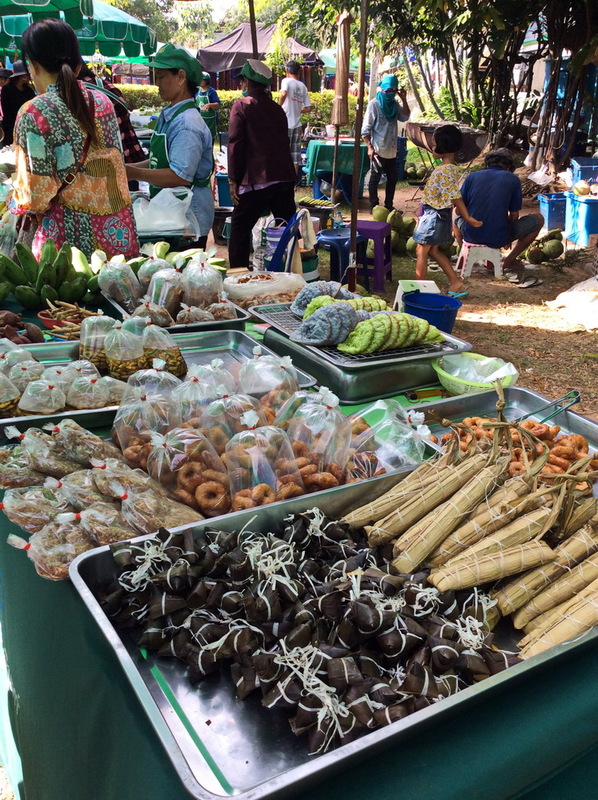 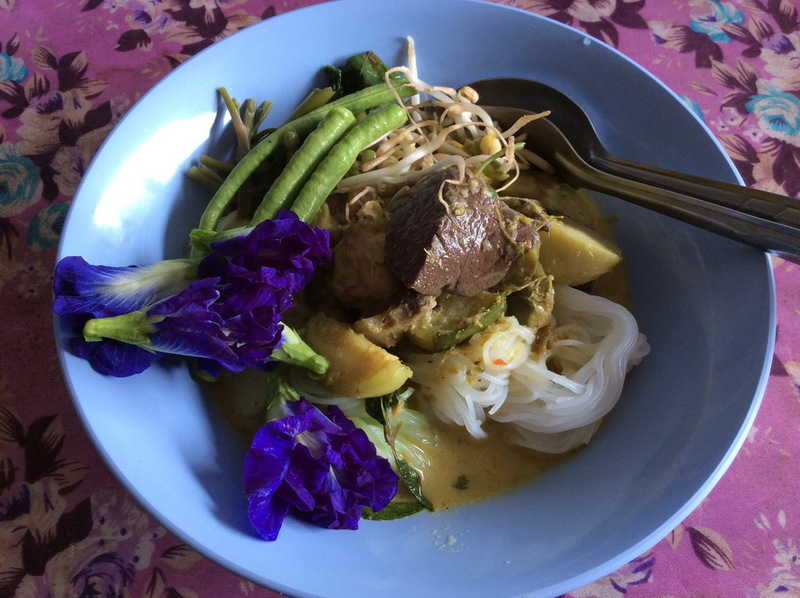 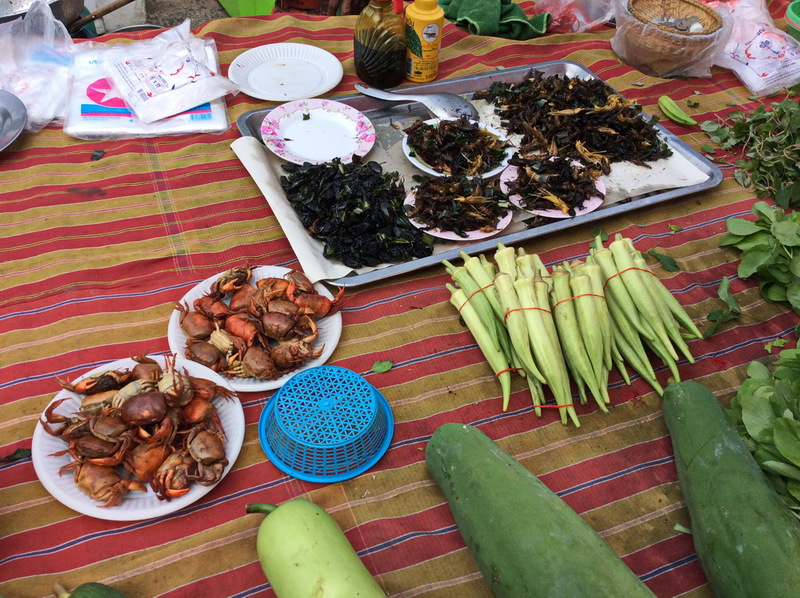 One also has to try the local dishes here and one such dish is the Khanom Jeen, Isaan style where you have a variety of beautiful condiments such as butterfly pea flowers, wild shoots and pea sprouts that go along with the special handmade noodles that you do not find in the big cities. 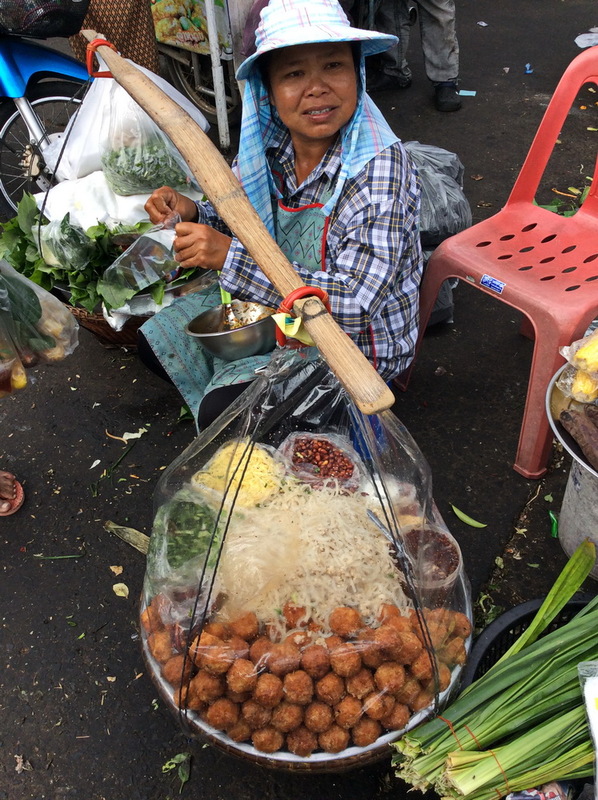 The noodles go with a chicken green curry or a fish ball red curry and topped with as much vegetable condiments as you like. 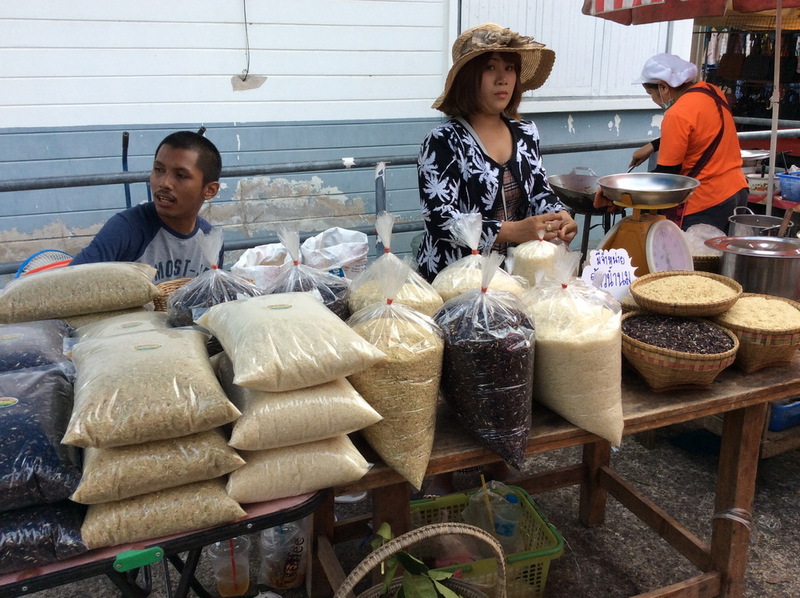 The daily morning and evening markets are just as colorful and interesting. 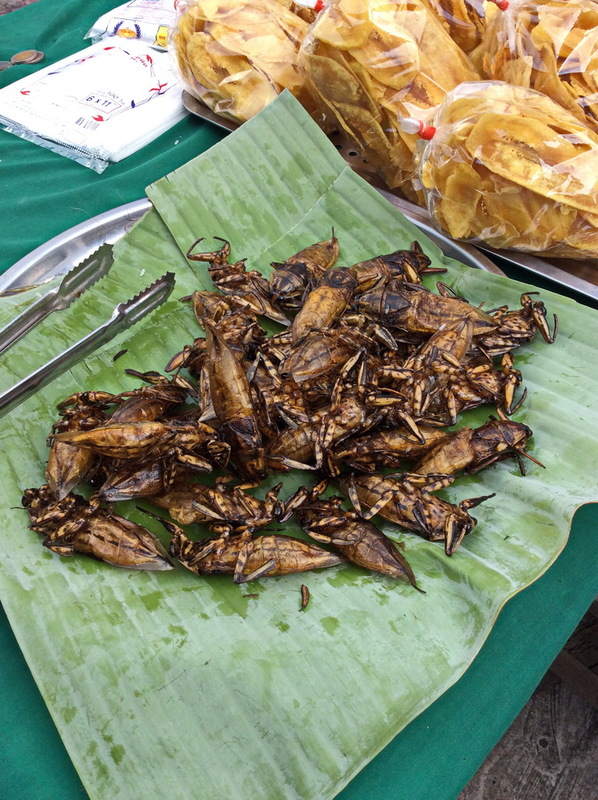 Isaan food is unique in that they eat a variety of items which are spicy accompanied by a good helping of local herbal vegetation which is what one would consider wild vegetation, to supplement meat protein they also consume the variety of insects that are in abundance in the rice fields such as crickets, grasshoppers, silk worms from their silk worm farms and the occasional rice field rats which can be very expensive now and much more costly than a whole chicken. 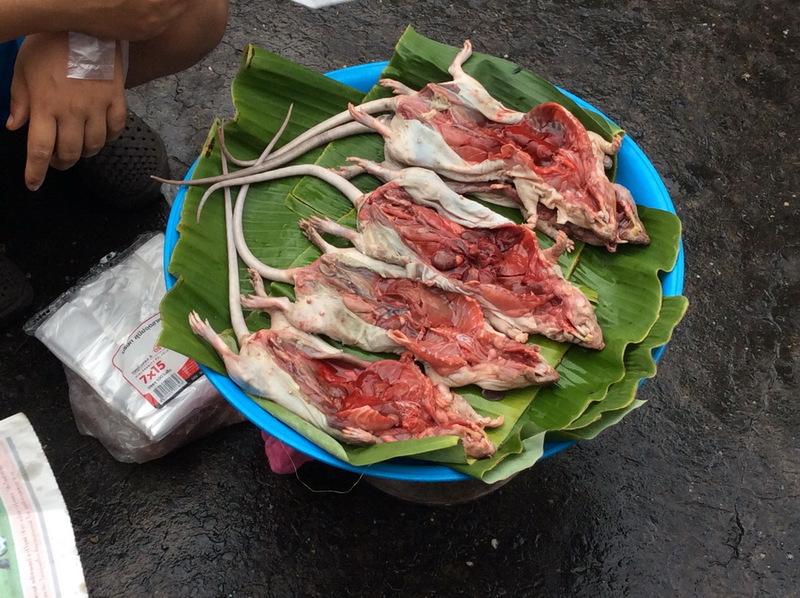 These rice field rats are rare which in those days used to be a poor man’s food. 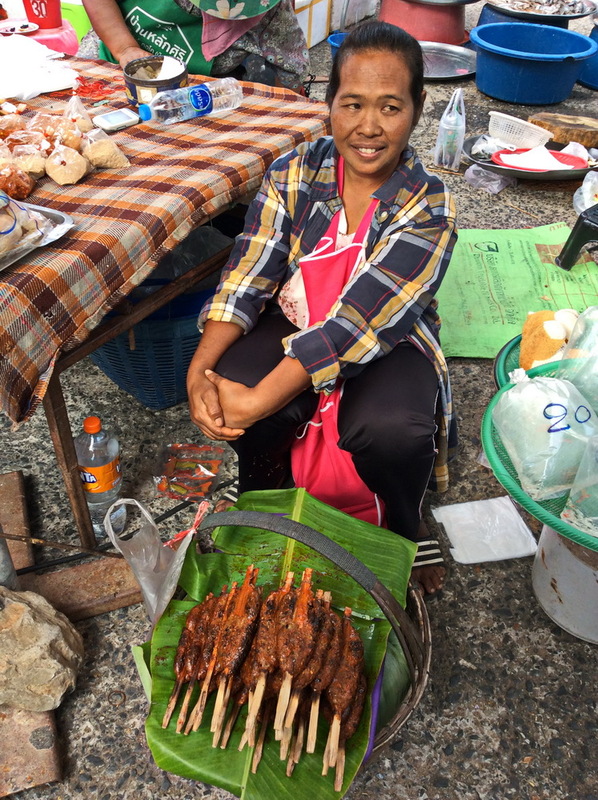 Most chicken, duck or their eggs are all free range in the markets so they come in irregular sizes. 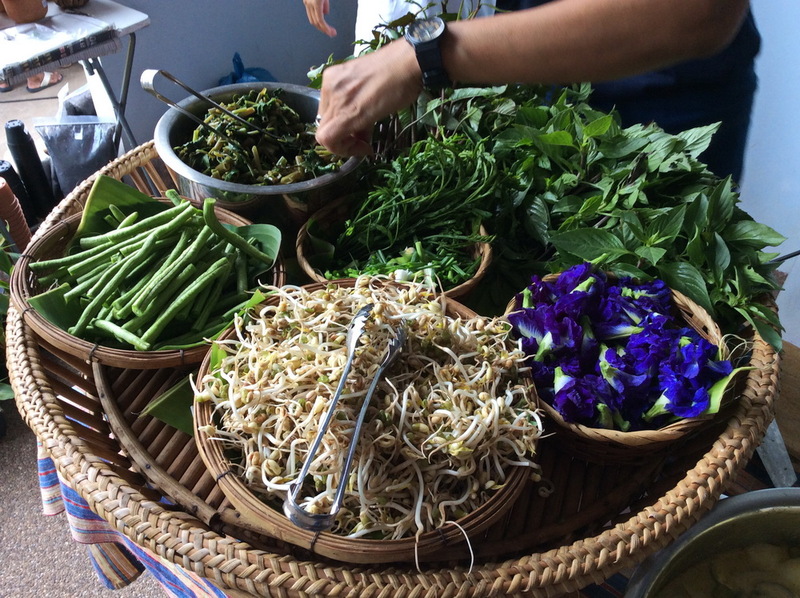 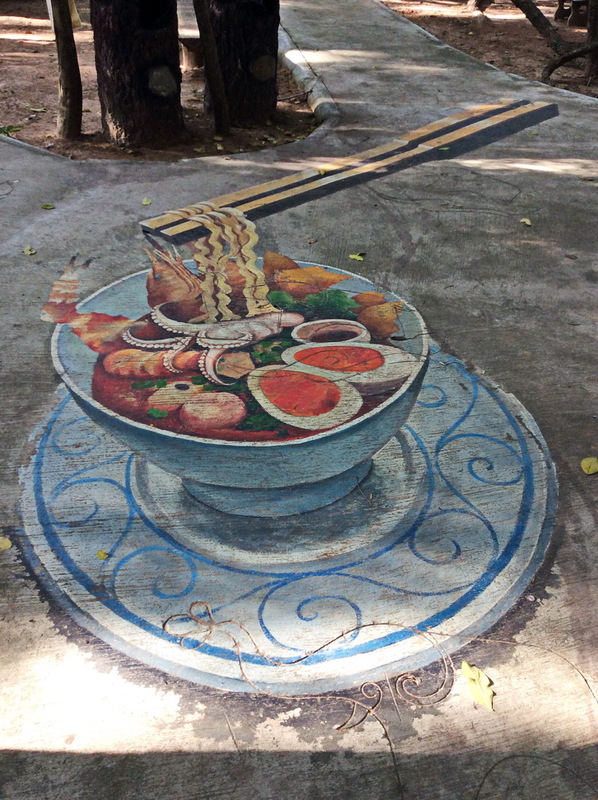 You will see many different types of foods and vegetables not often seen in Bangkok city and which is in itself a culinary experience. 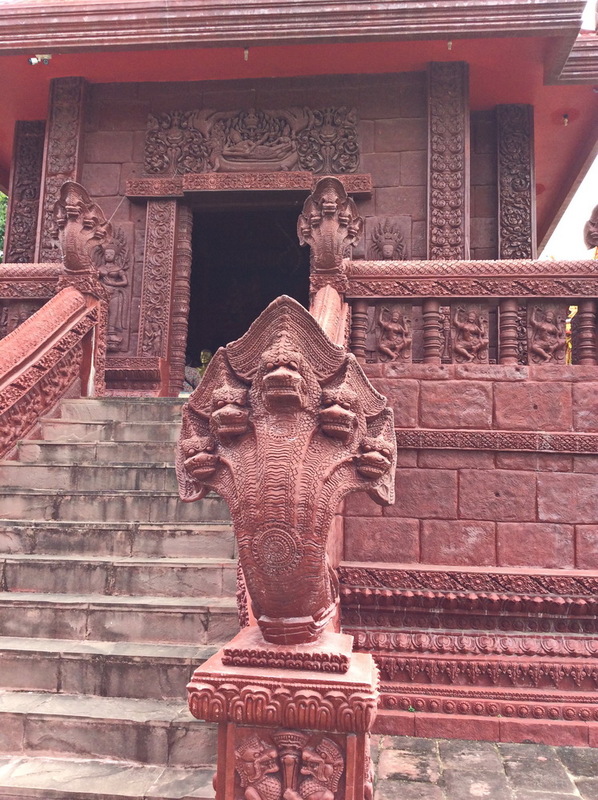 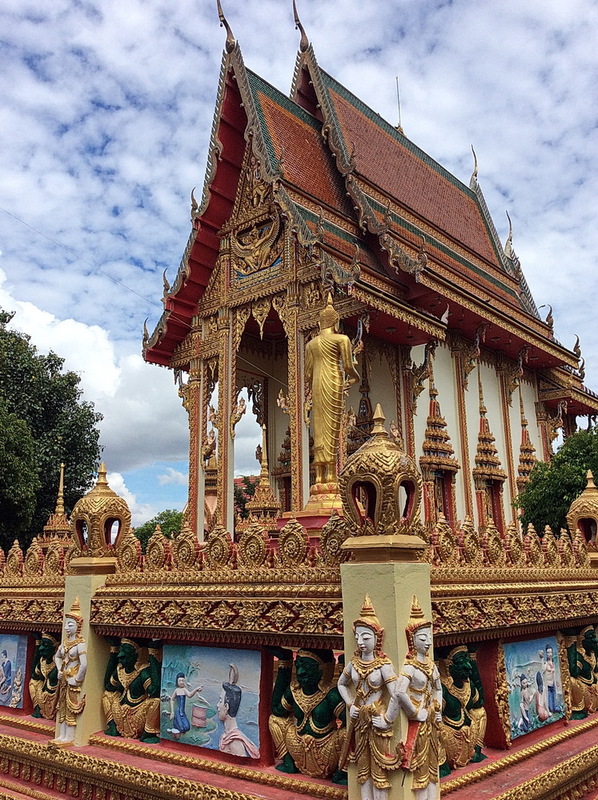 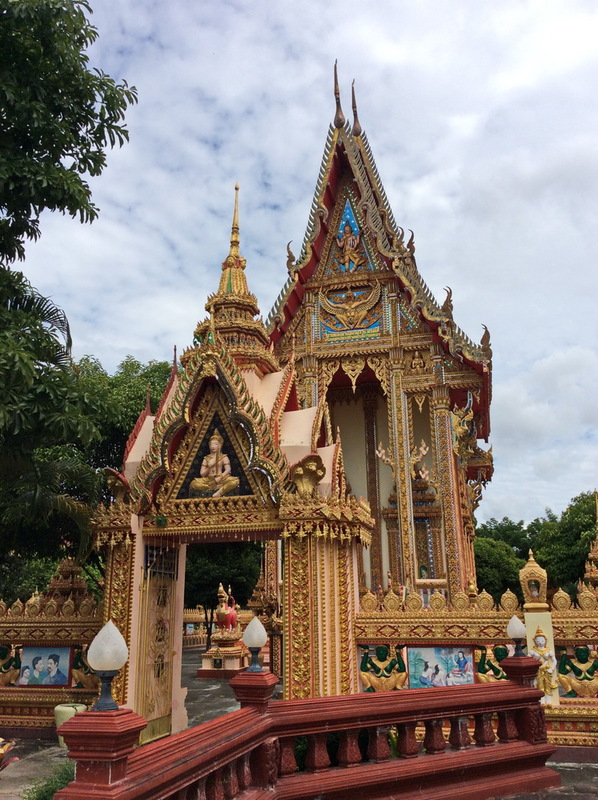 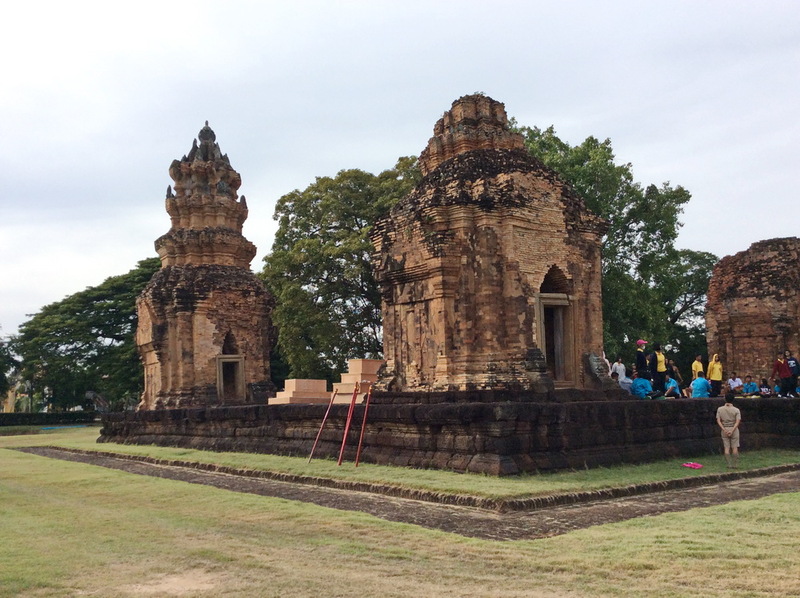 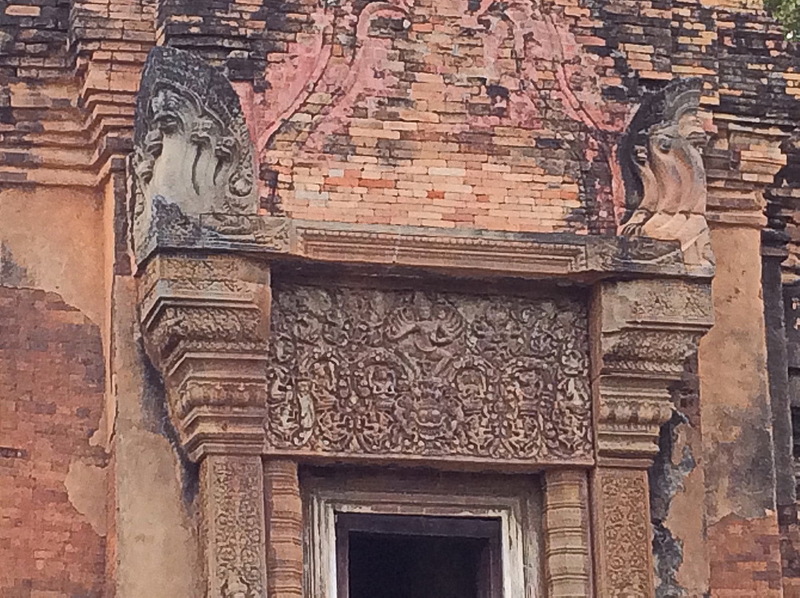 Surin also has many historical places and monuments and one such place is where the temples served as medical hospitals during the ancient wars with the Khmer and Burmese. 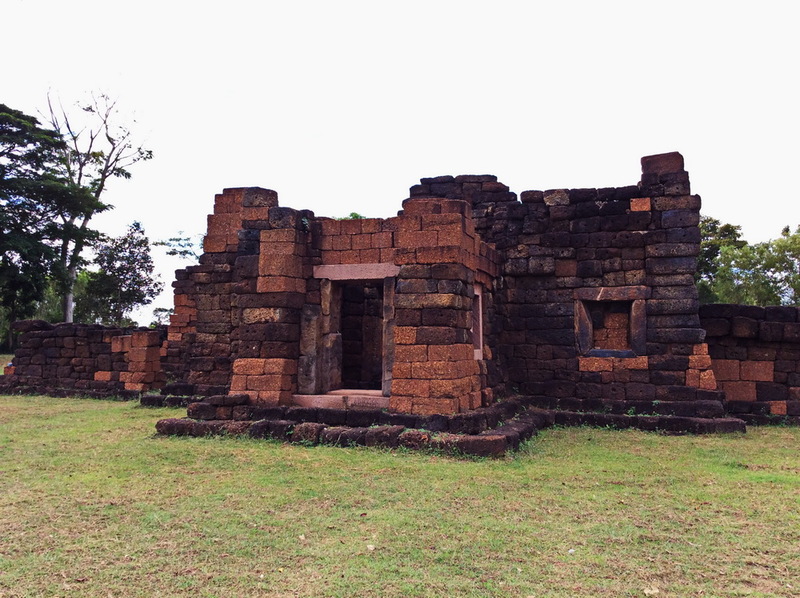 More than 102 of these structures were built around the city. 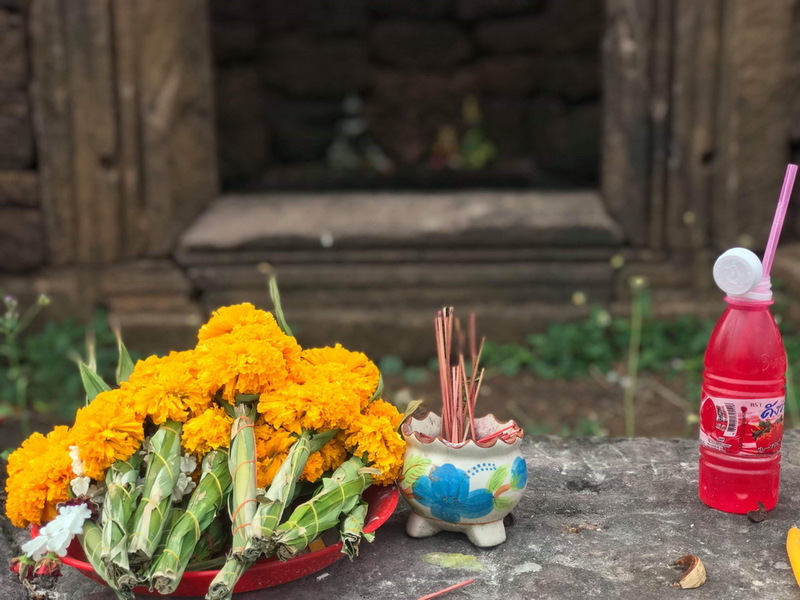 There are also beautiful temples with intricate details and relics that have been excavated which contained huge Buddha statues plus many items of worship now housed in the temple. 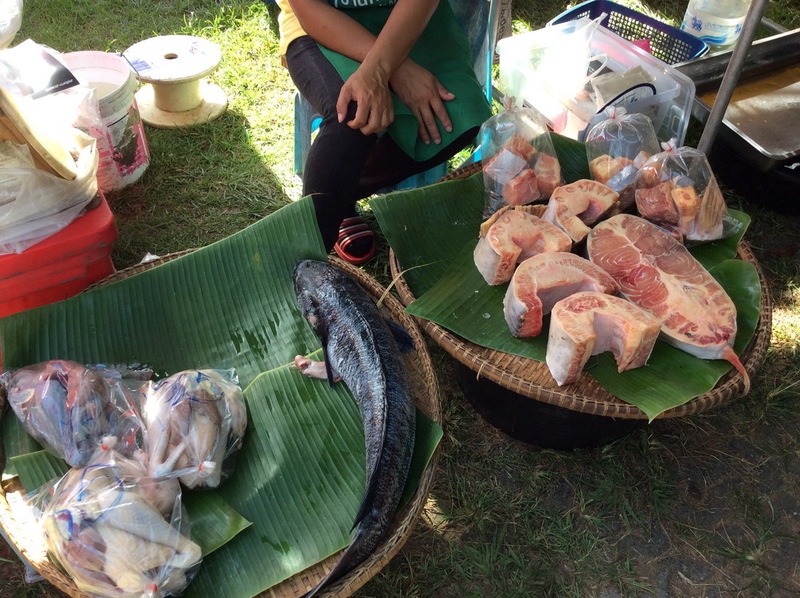 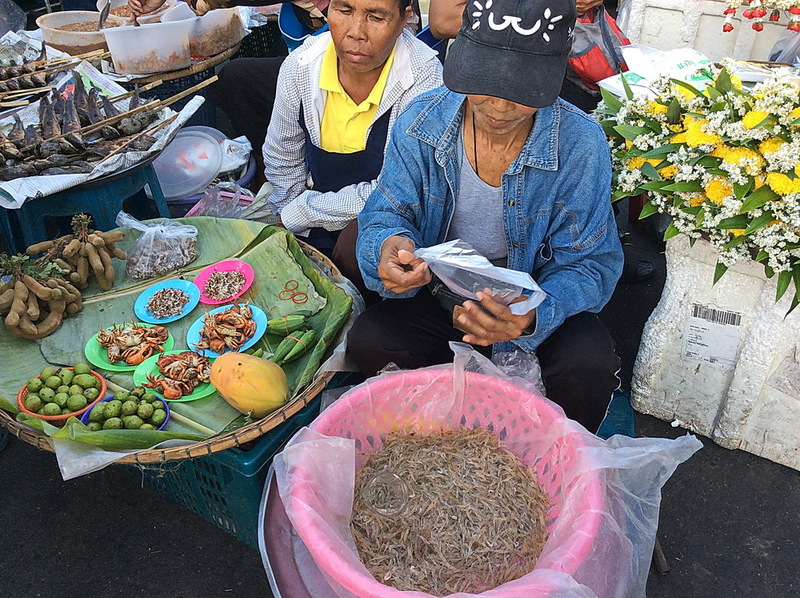 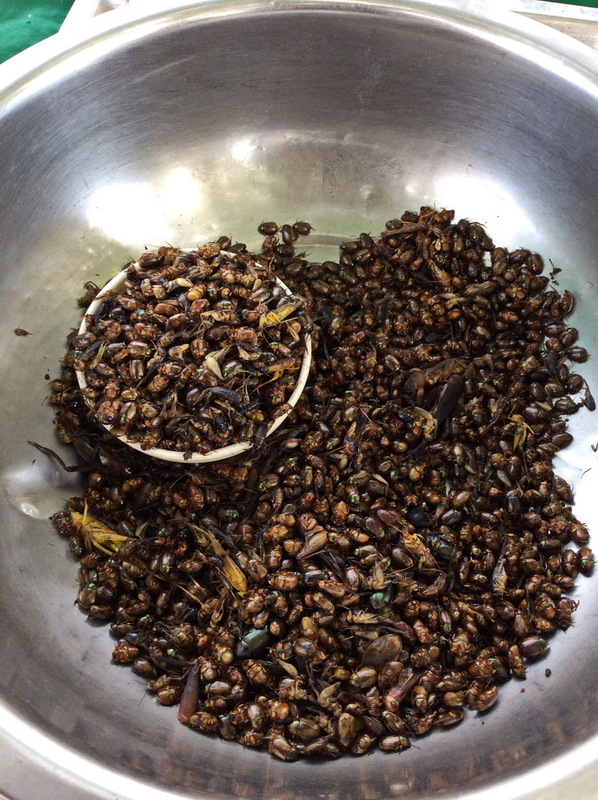 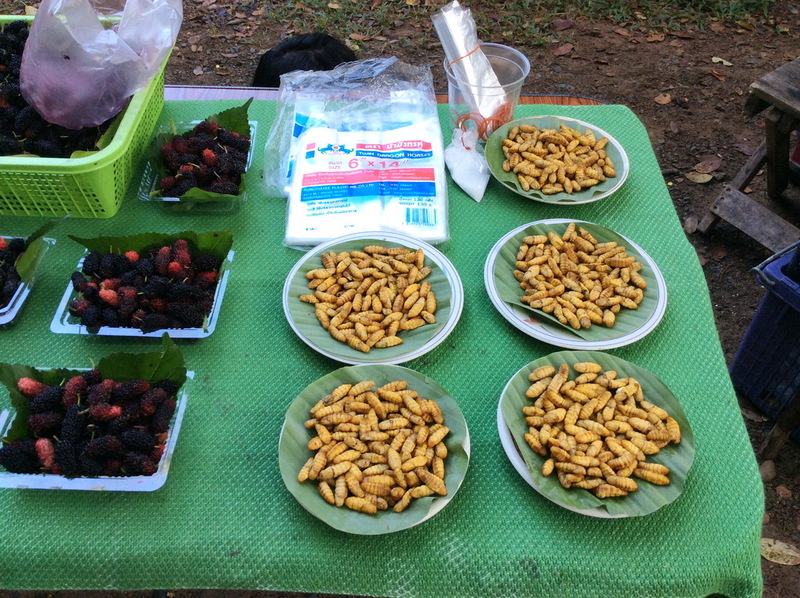 Surin is one of those interesting provinces that is very much like peeling a banana where you get to the good stuff when you take the time to explore it! 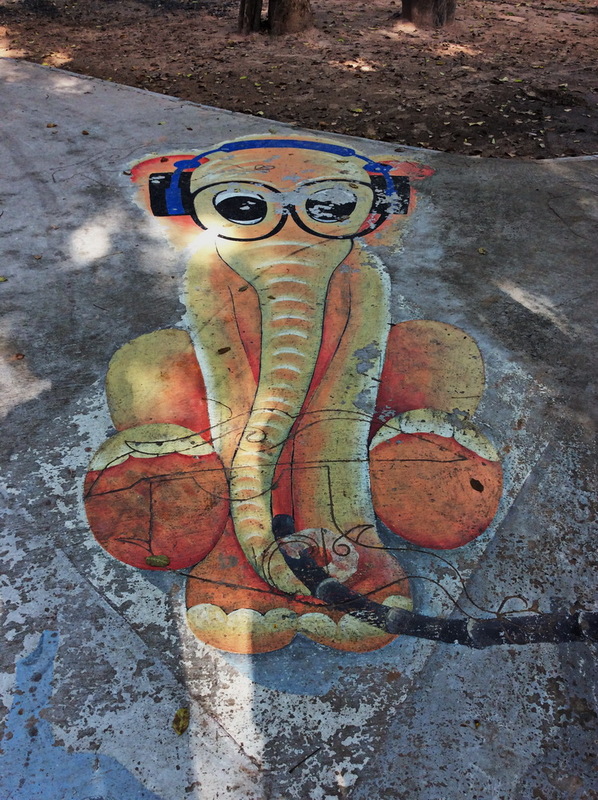 Previous Previous post: Hanuman and friends are back at the Joe Louis Puppet Theater!